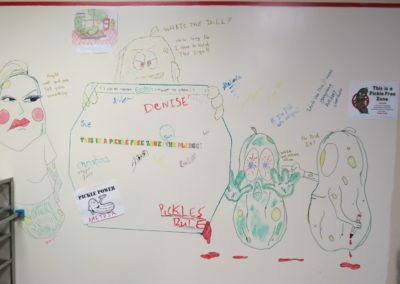 I got a whole new team and didn’t have to change the people because they changed themselves. 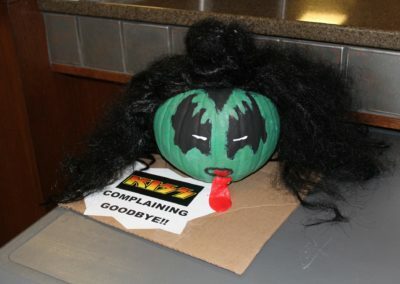 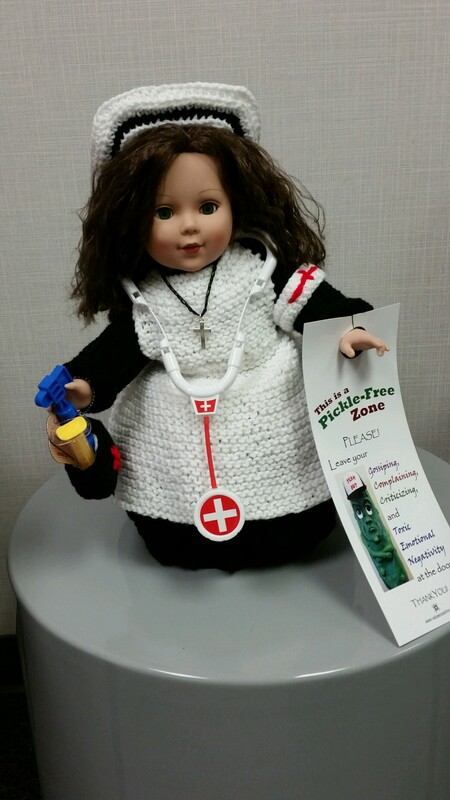 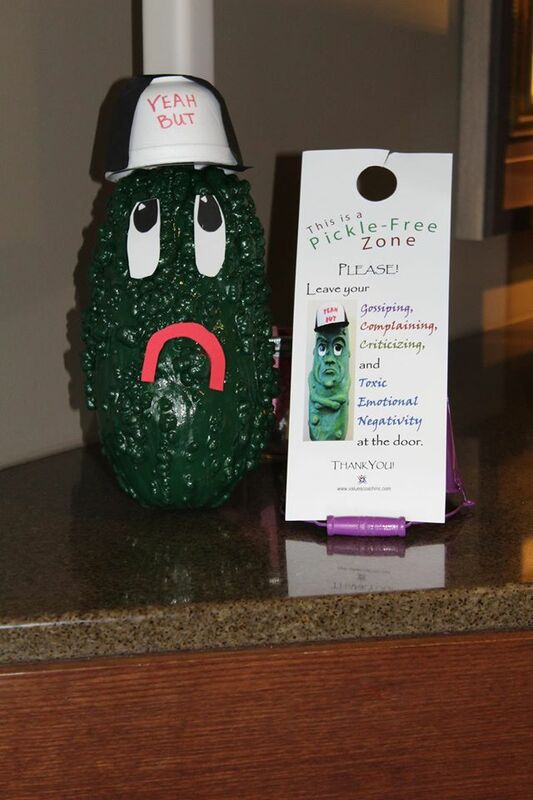 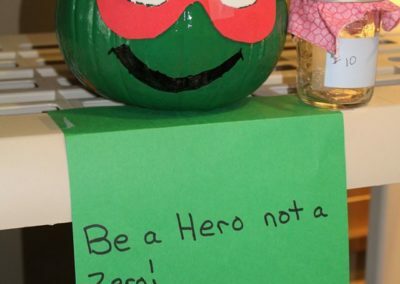 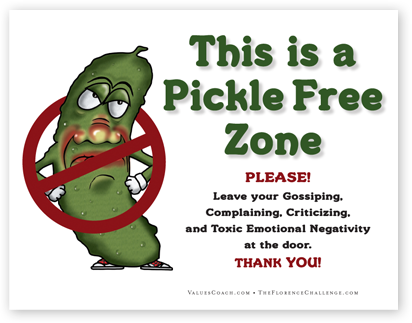 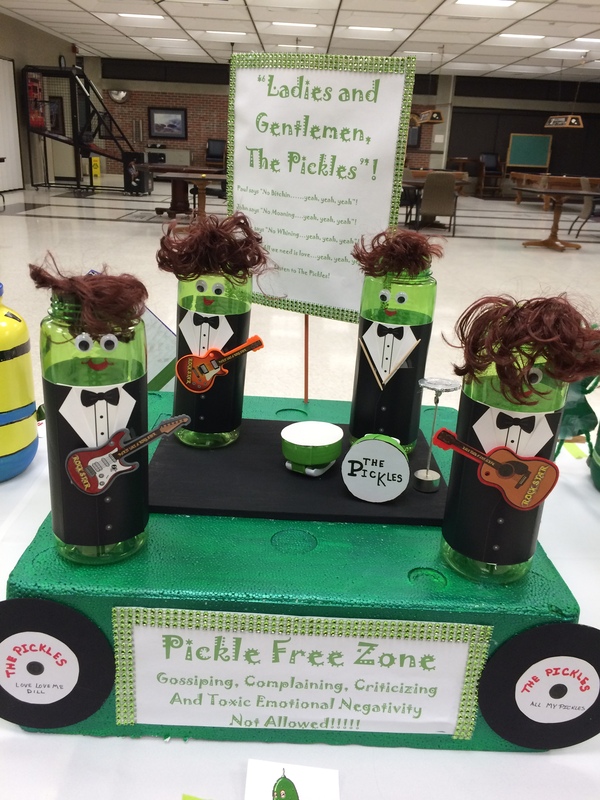 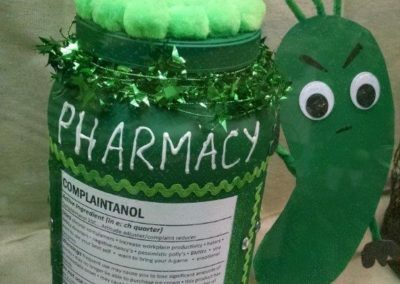 Imagine your organization, or your family, as a PFZ – a Pickle Free Zone – where instead of whining and complaining people appreciated their blessings and worked together to solve their problems. 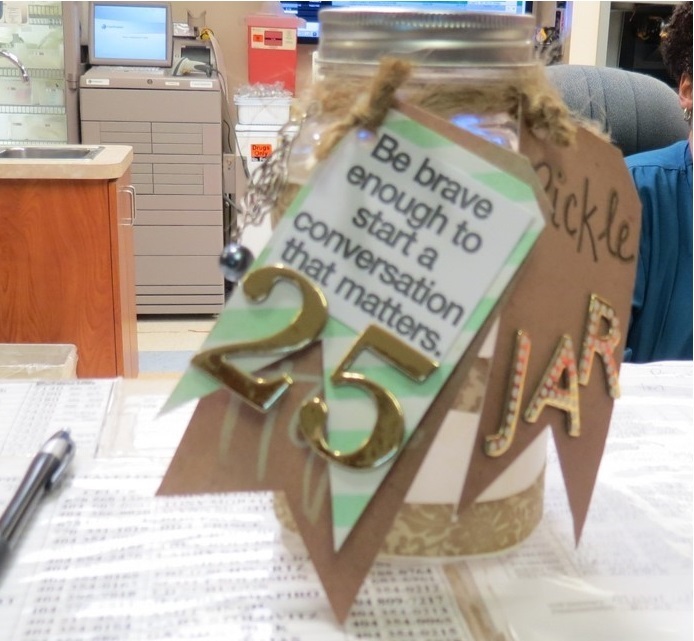 Imagine how much more pleasant and positive, how much more productive and resilient, your organization could be. 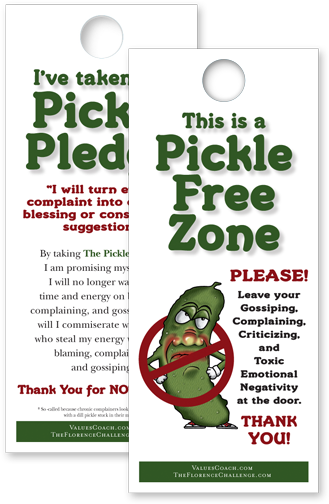 The Pickle Pledge helps people change their lives by learning to see the opportunity in every adversity and by replacing learned helplessness with a spirit of initiative and self empowerment. 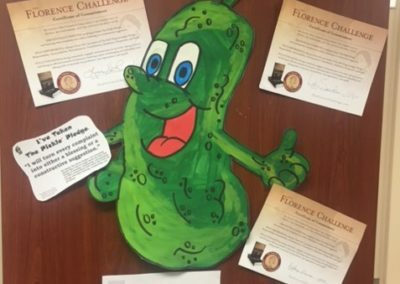 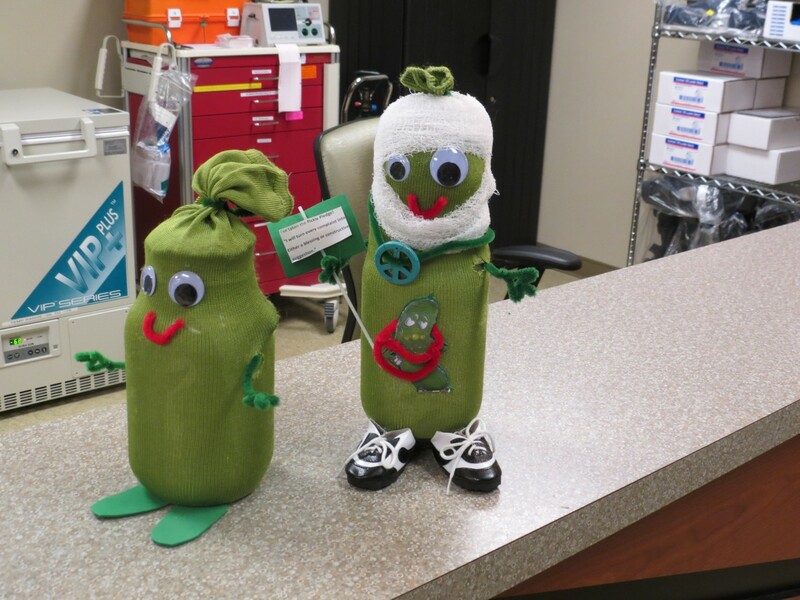 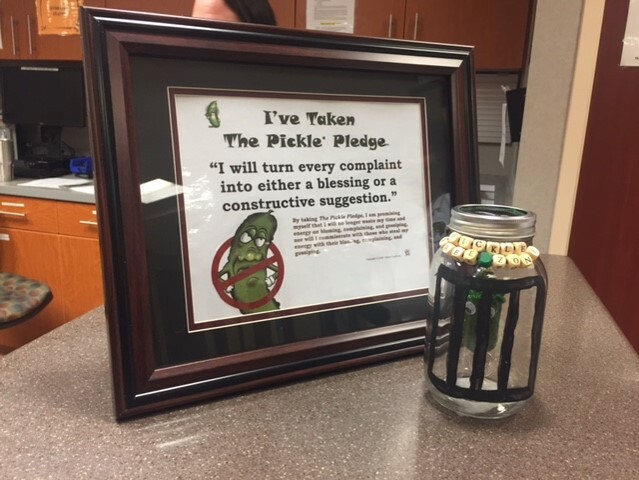 The Pickle Challenge for Civility helps you promote a more positive, pleasant and productive workplace culture. 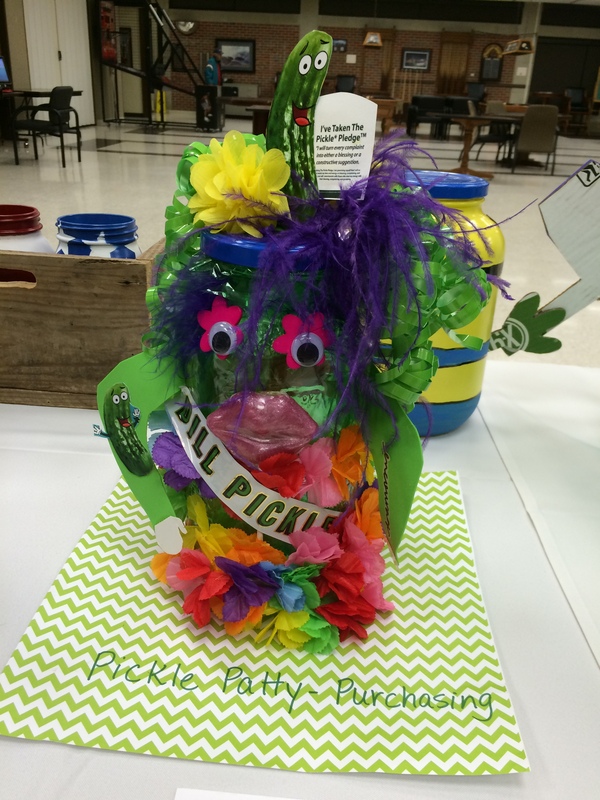 The Starter Kit will orient your team and guide your Pickle Challenge Champions. 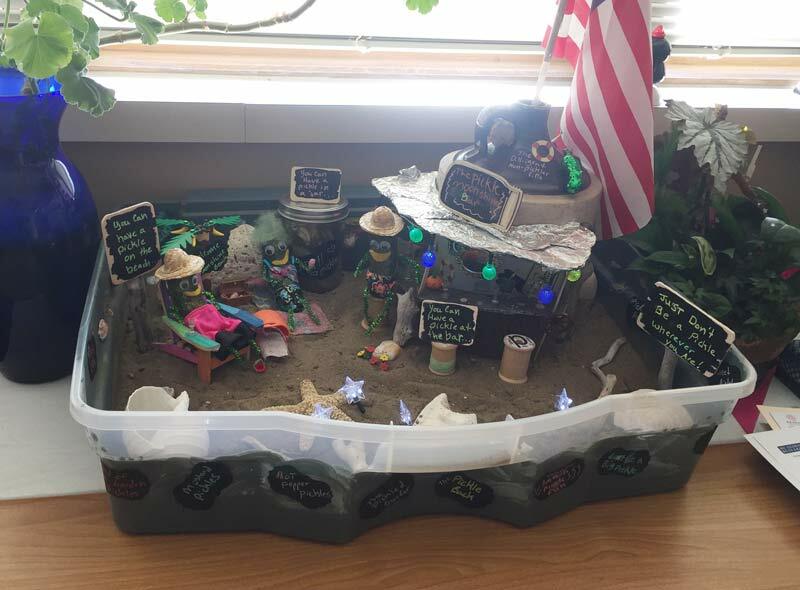 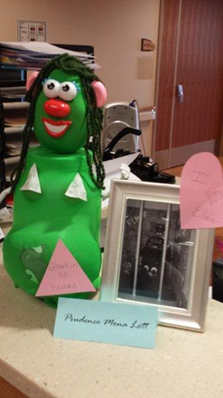 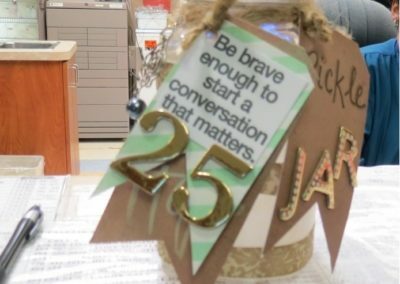 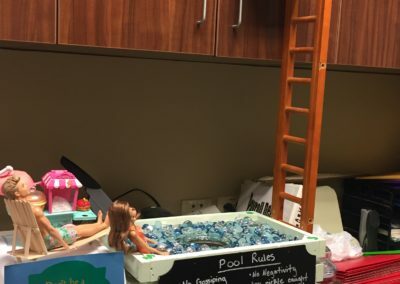 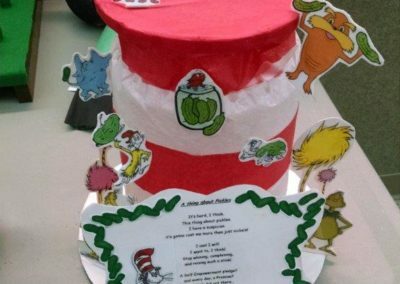 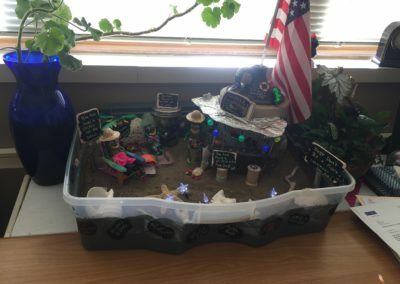 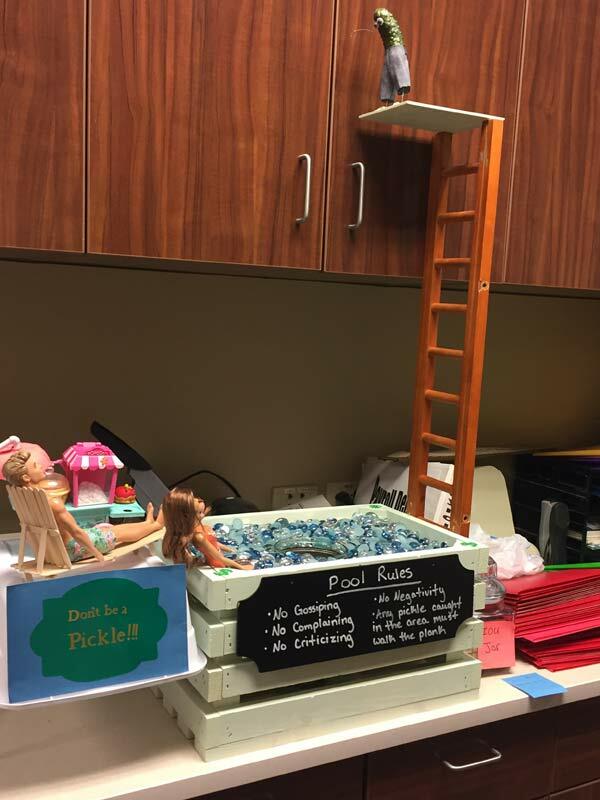 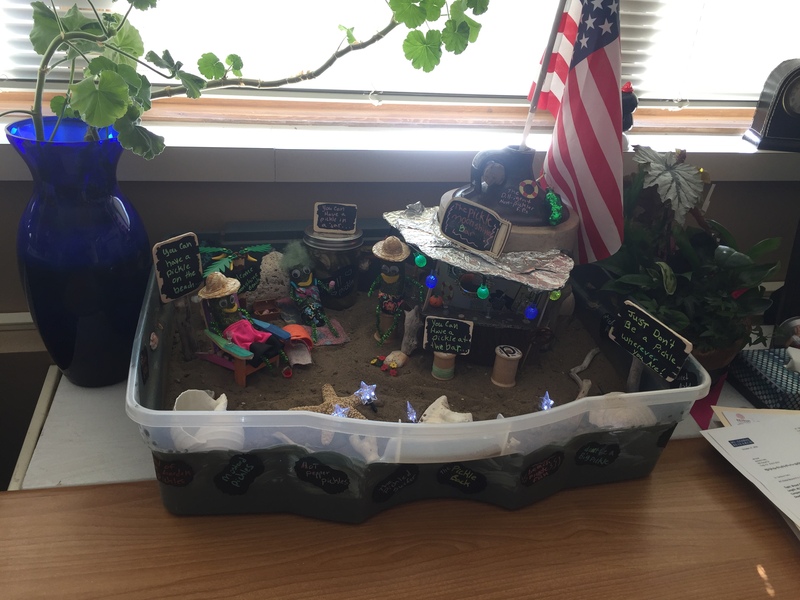 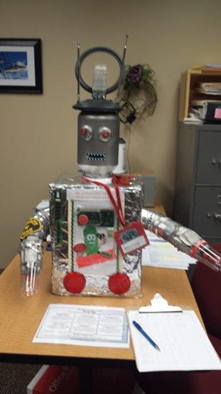 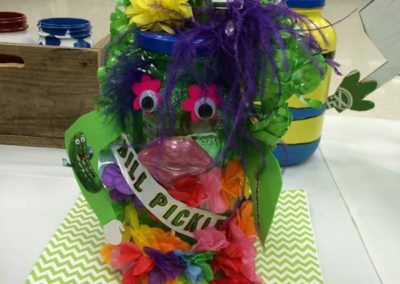 You will be absolutely astonished at the blast of creative energy sparked by The Pickle Challenge for Civility: pickle jar decorating, cake making, pickle recipe cook-offs, office and hallway adornments, social media story sharing and a whole lot more. These are stressful times in healthcare and the Challenge helps to relieve stress and prevent burnout and disengagement. 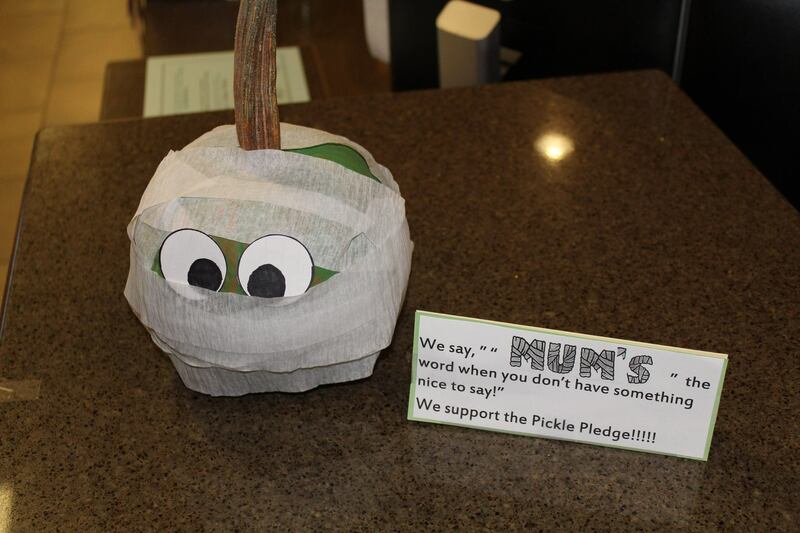 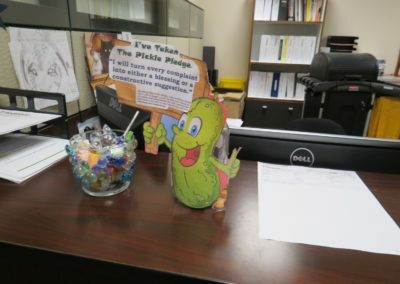 The Pickle Pledge helps people make amazing personal changes, and in many take it home to share with family members. 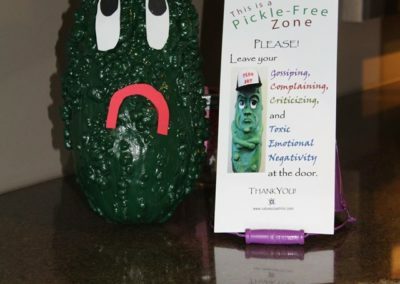 The Pickle Challenge for Civility gives people a new perspective on their own attitudes and a new soft-touch language for confronting negative attitudes of others, while raising the bar for everyone. 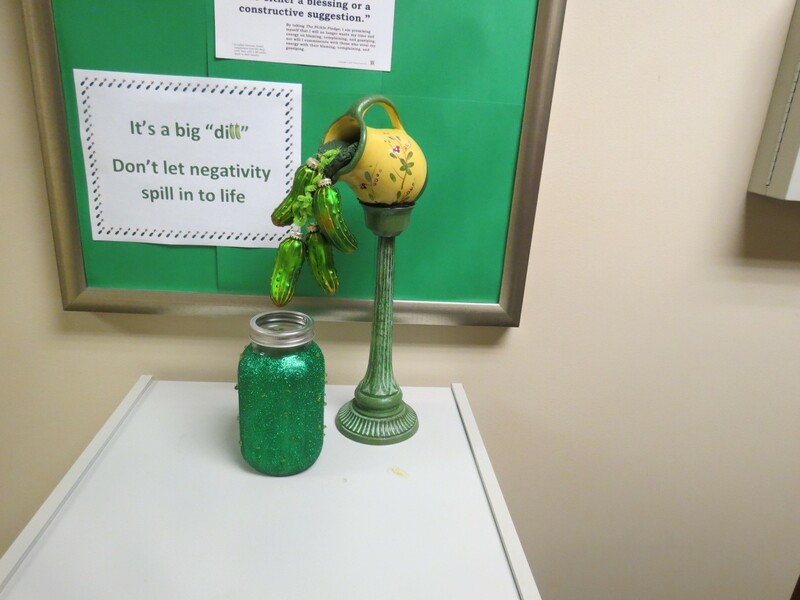 The changes you will see can be both immediate and long-lasting. 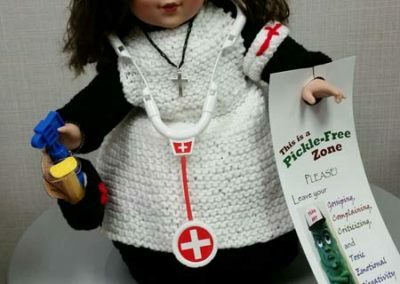 Are you tired of seeing stories about bullying, incivility, disrespect, disengagement, and “nurses eating their young” in the healthcare workplace? 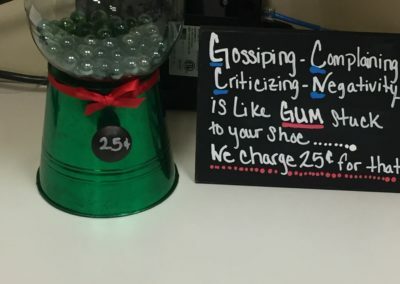 Are you tired of hearing about those things in your organization? The Pickle Challenge for Civility can change all that. 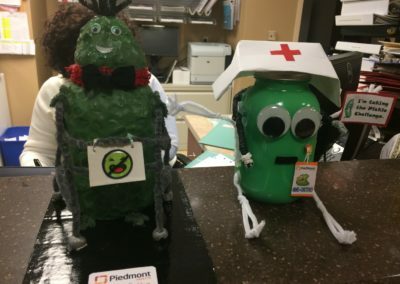 This lighthearted and highly effective program helps healthcare organizations foster a more positive and productive culture by helping people be personally more positive and productive. 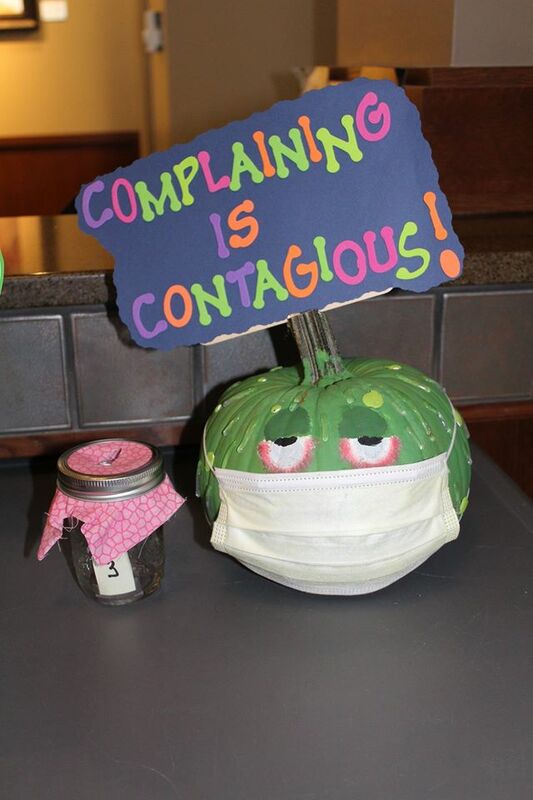 By turning complaints into contributions, people learn to transform the “poor me” mindset of the complainer into an attitude of gratitude and a “proceed until apprehended” commitment to taking initiative. 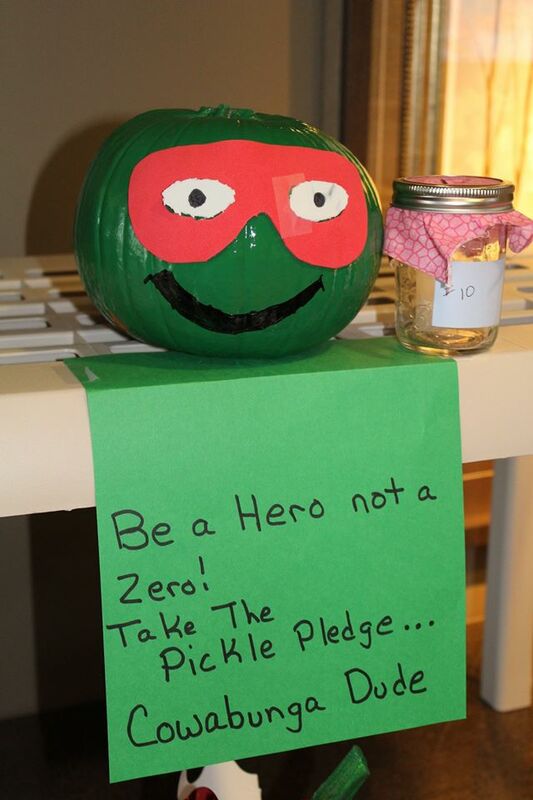 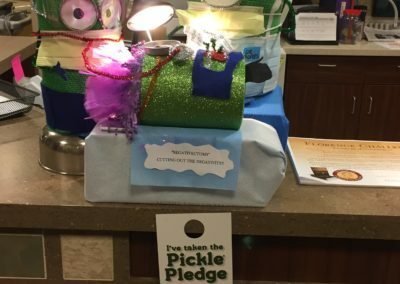 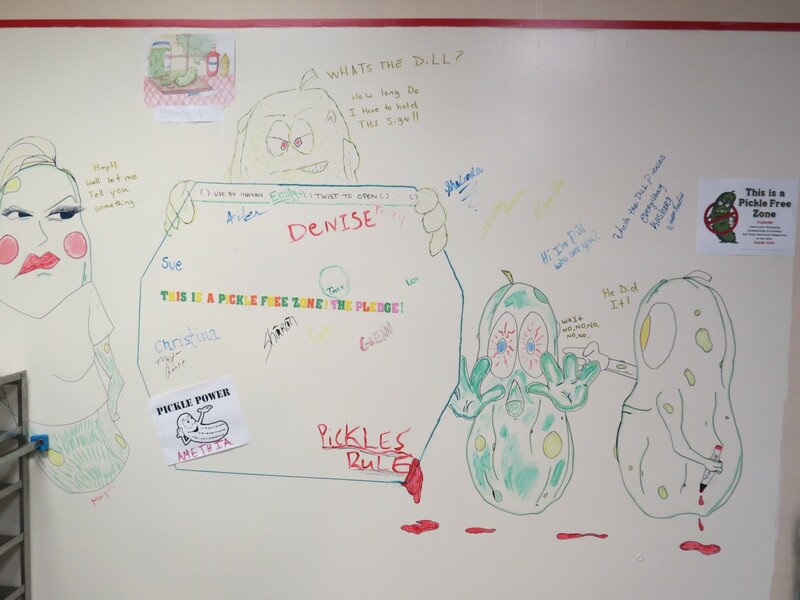 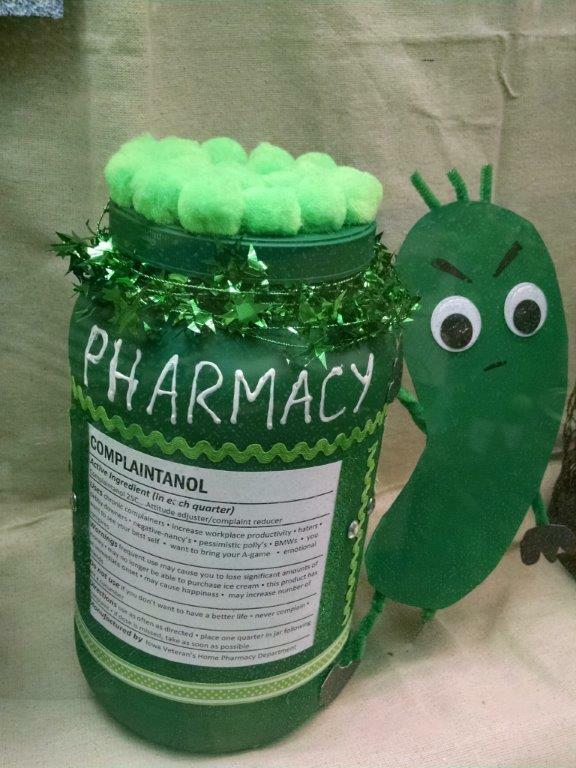 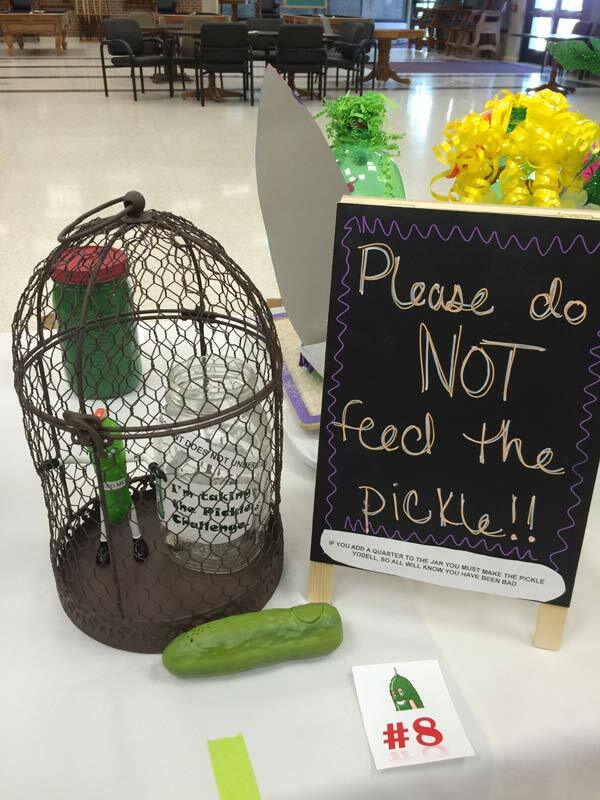 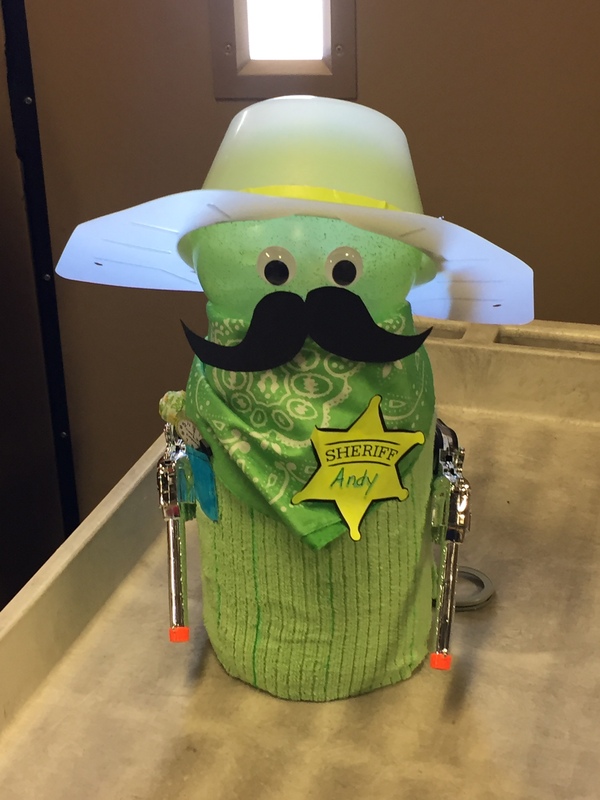 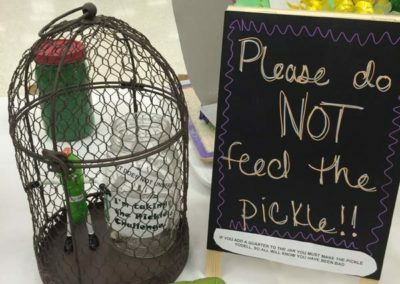 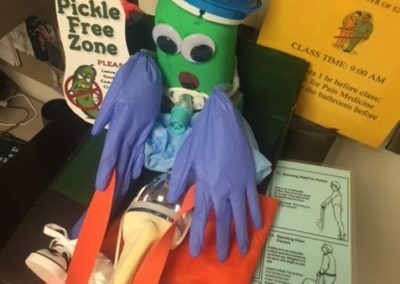 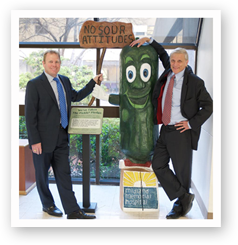 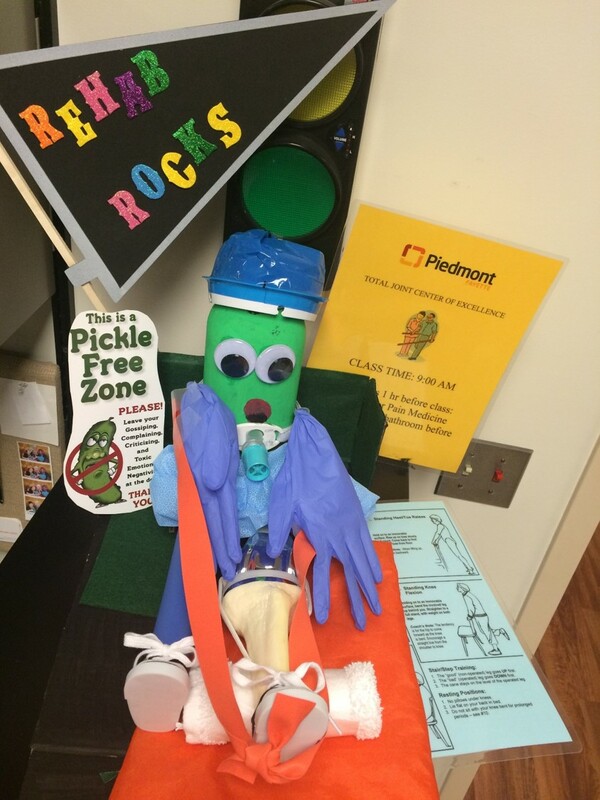 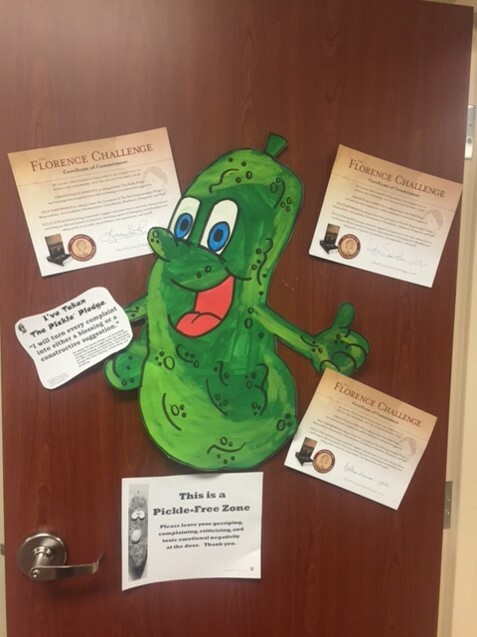 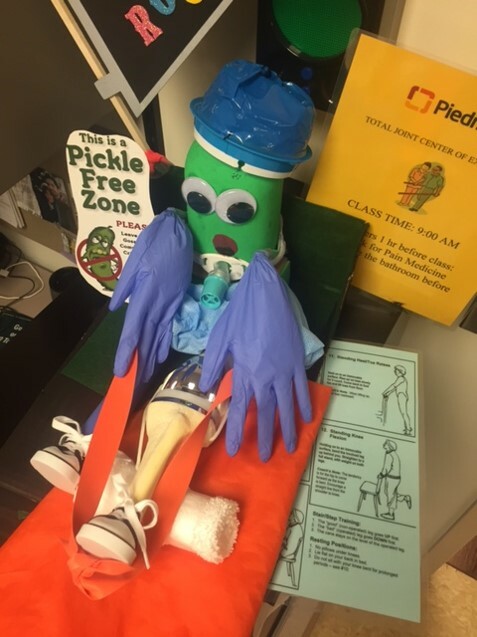 Take the Pickle Pledge and make your organization a Pickle-Free Zone! 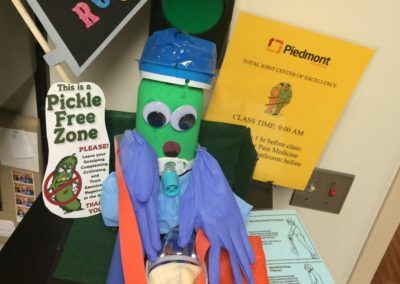 We have documented record-high patient satisfaction and clinical quality indicators and have calculated a cultural productivity benefit of more than $7 million annually. 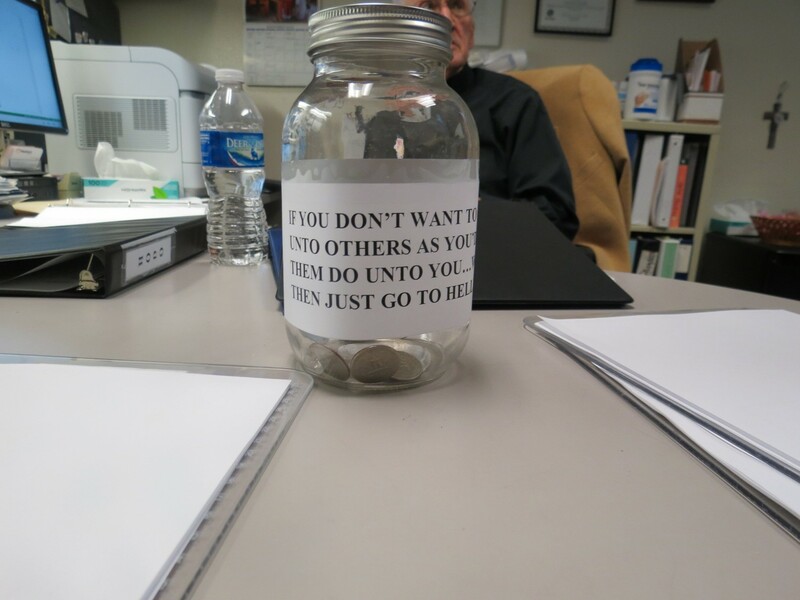 Introductory video by Values Coach CEO and Head Coach Joe Tye. 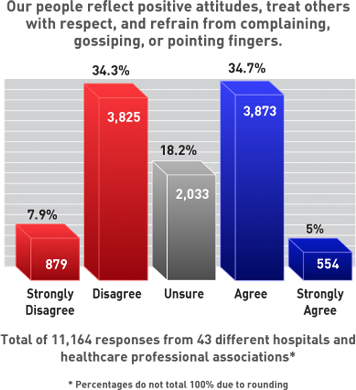 * Additional Service: Before-and-after Culture Assessment Surveys using the proprietary VCI-16 with follow-up consulting reports with comparison, observations and recommendations. 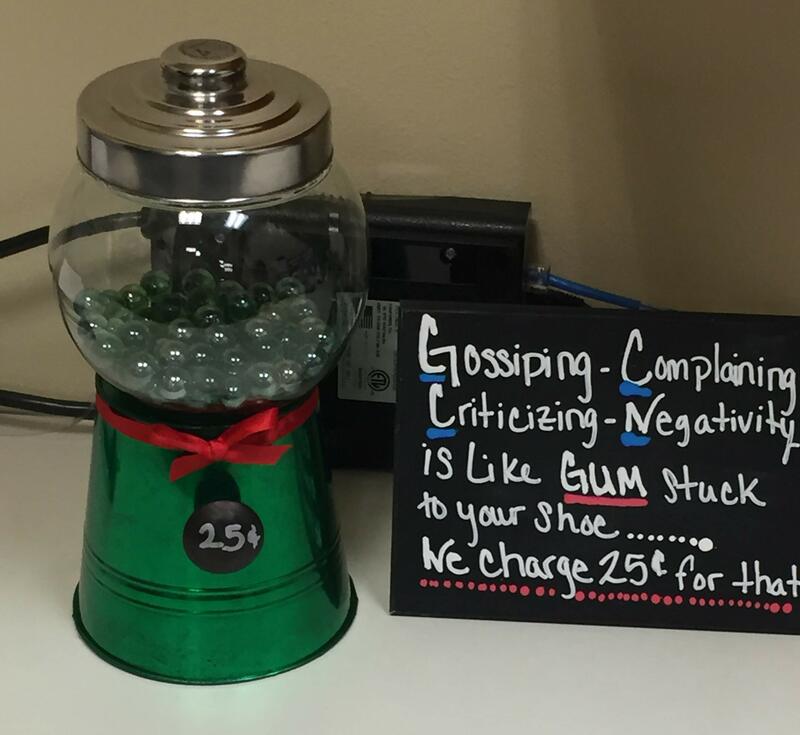 Contact our office for additional details and cost. 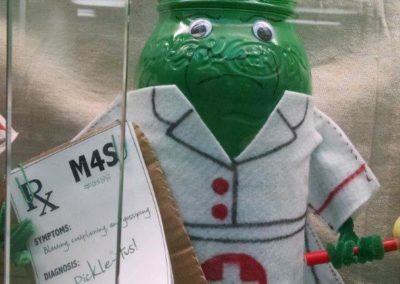 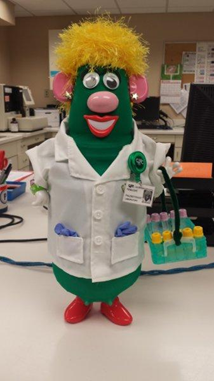 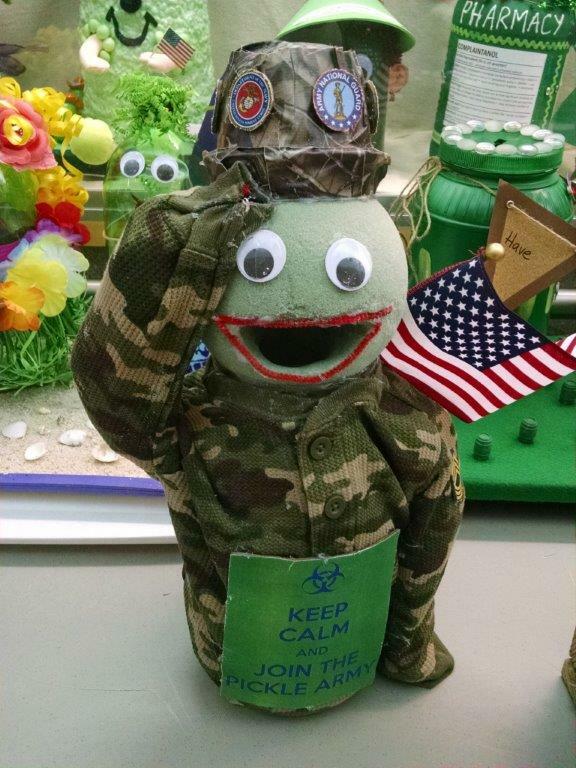 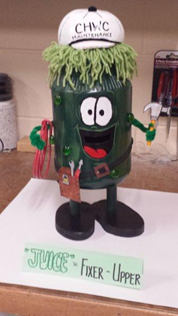 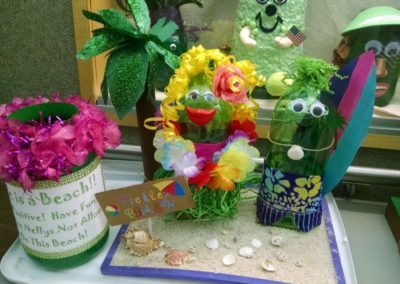 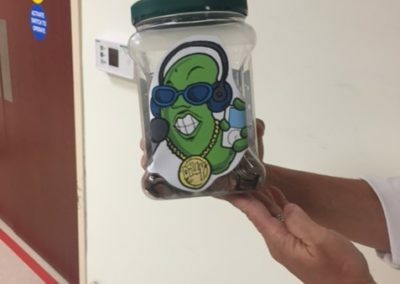 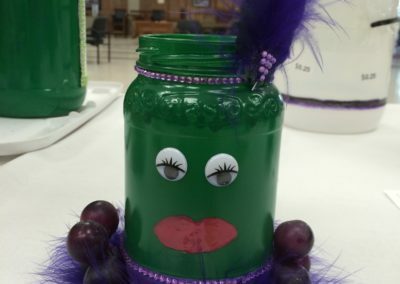 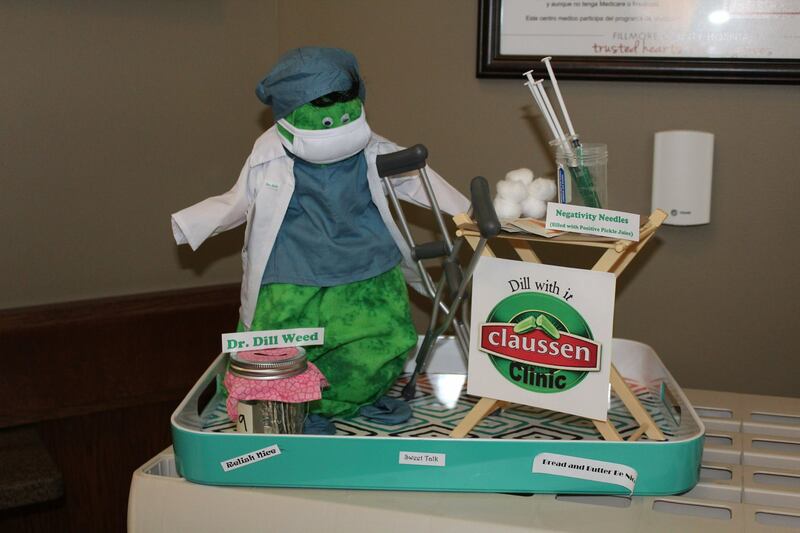 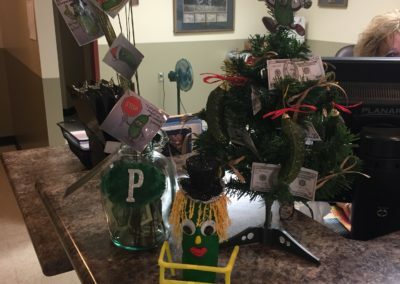 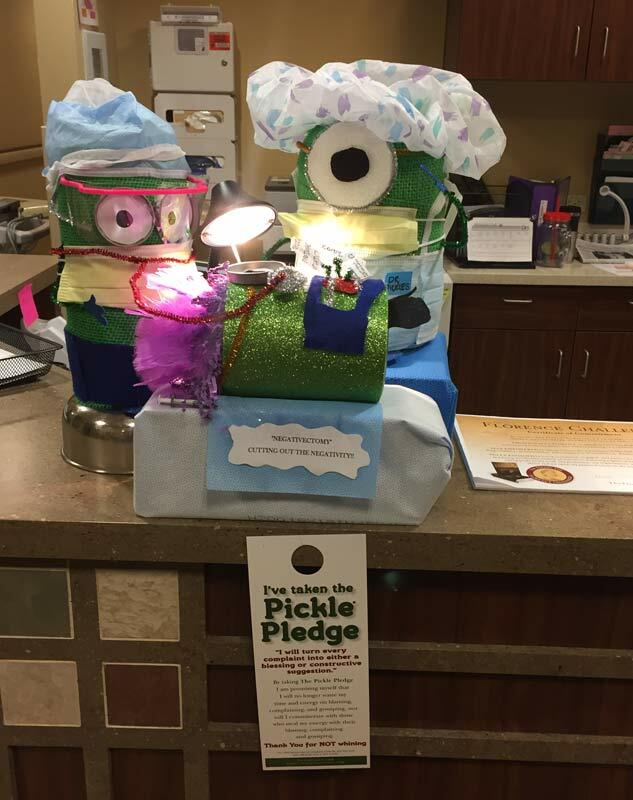 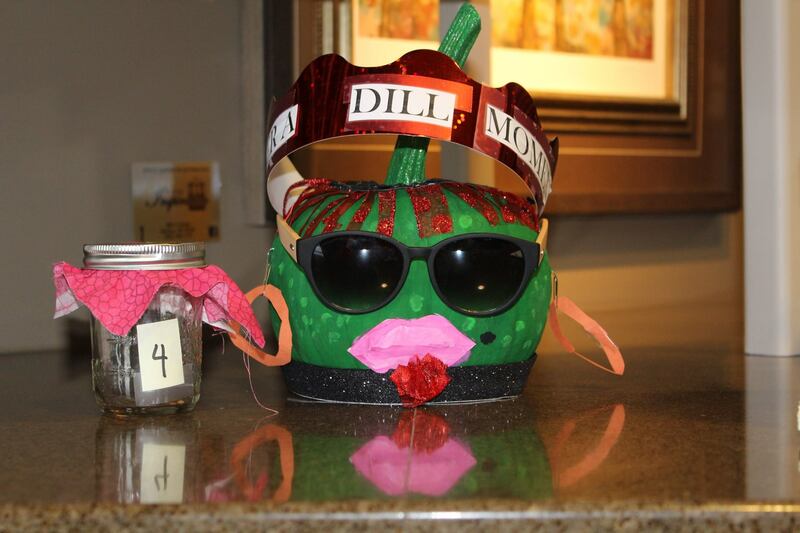 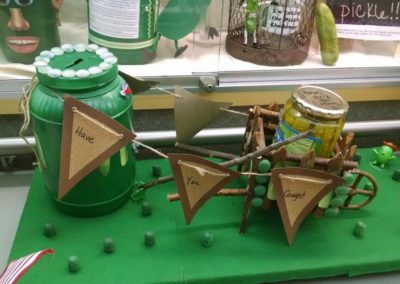 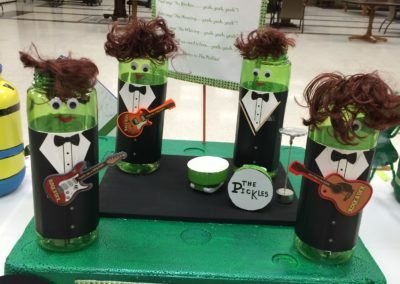 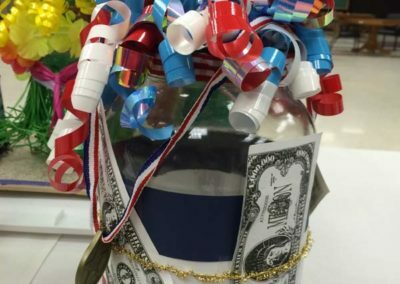 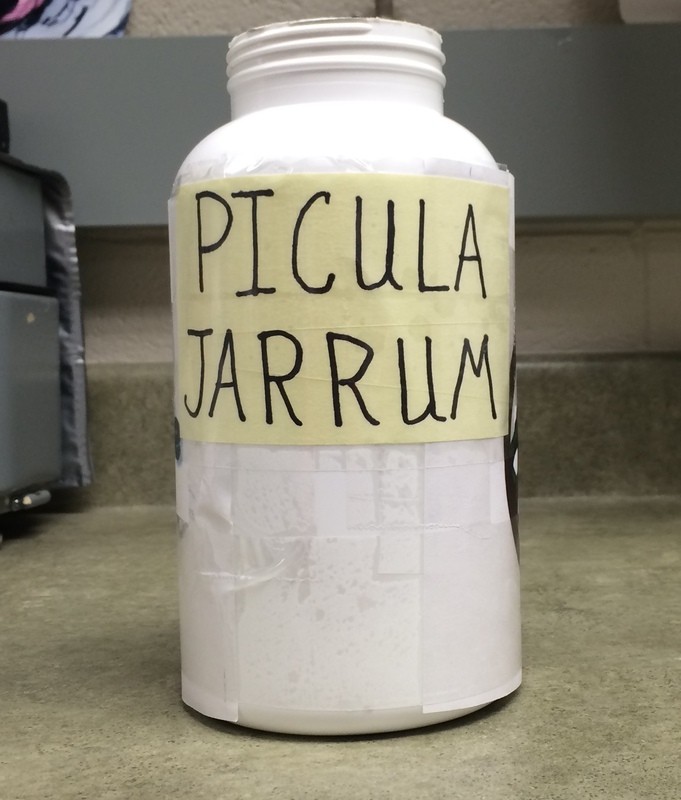 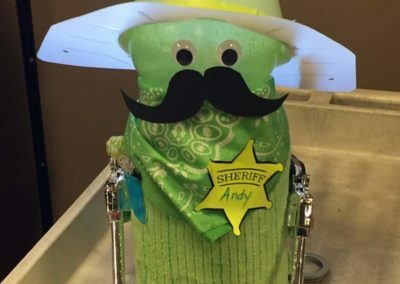 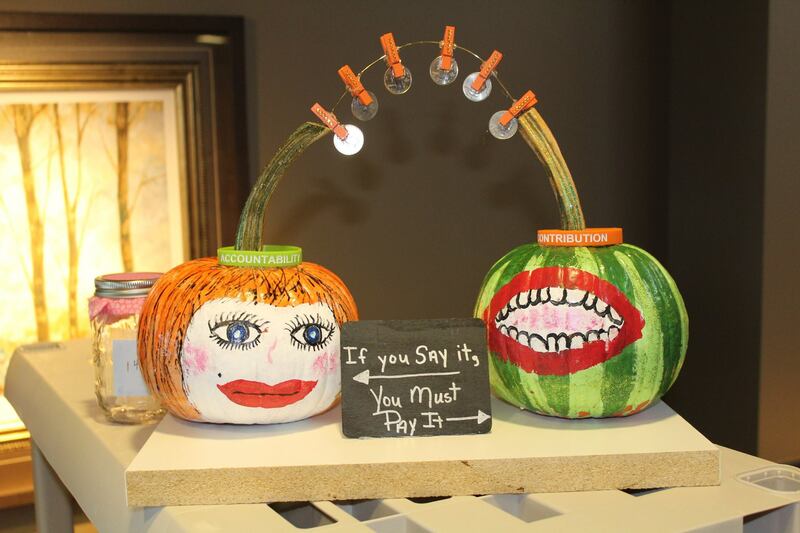 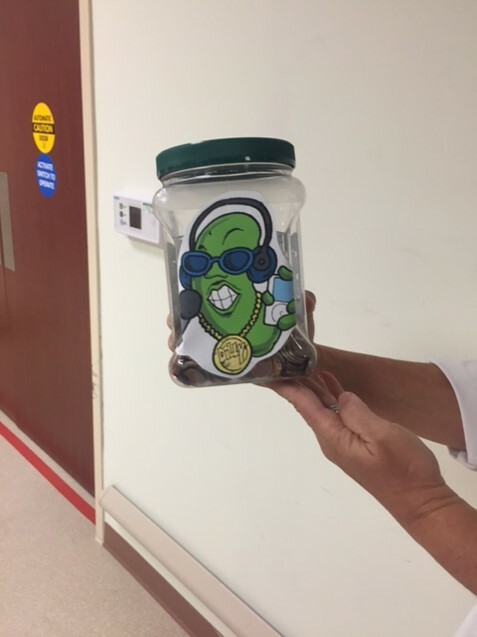 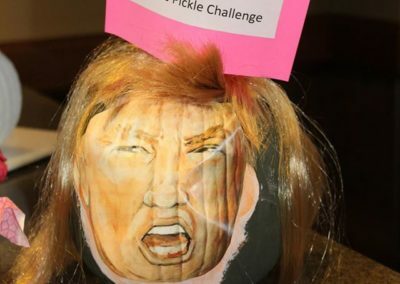 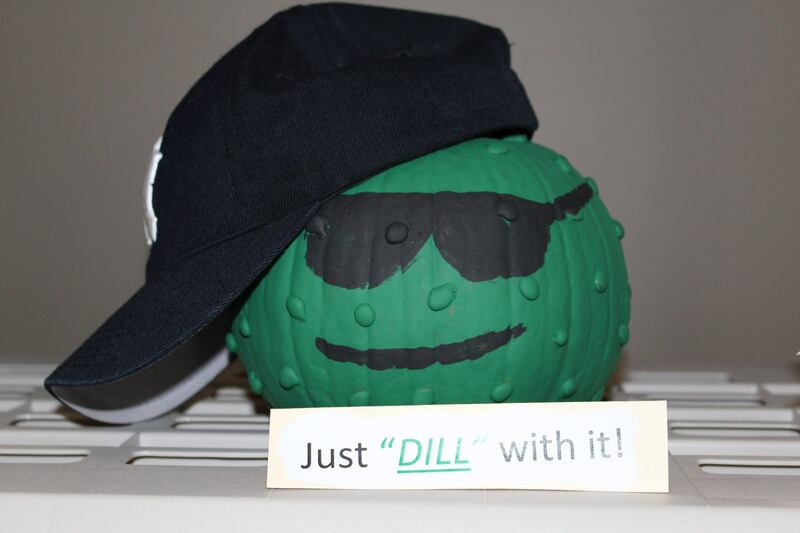 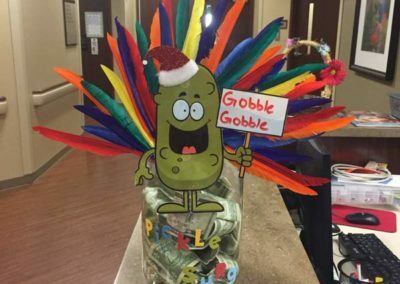 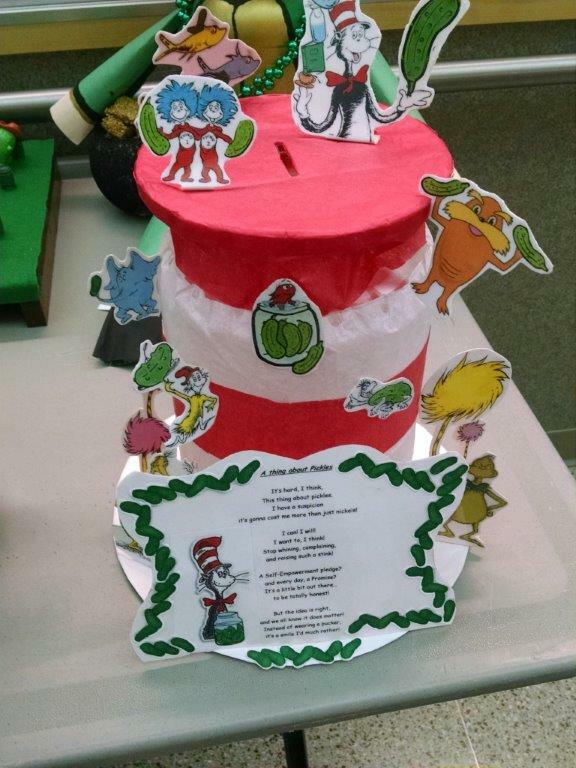 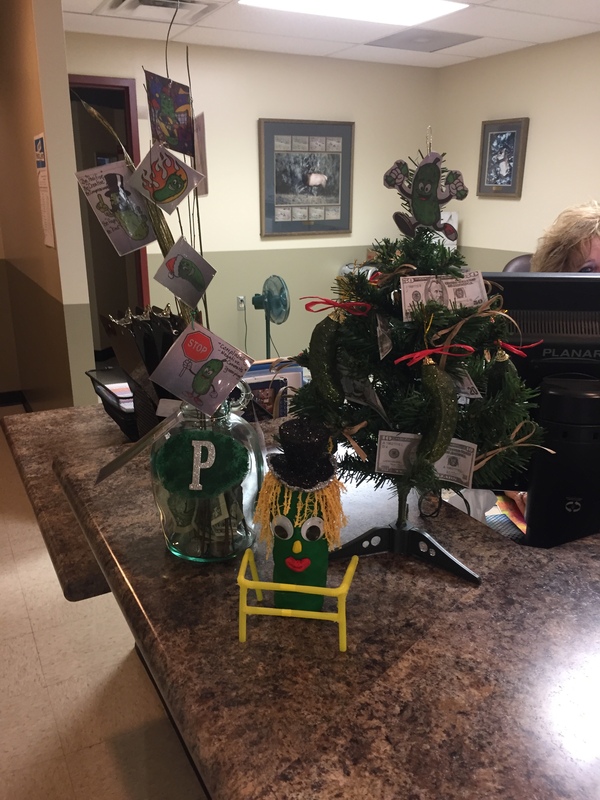 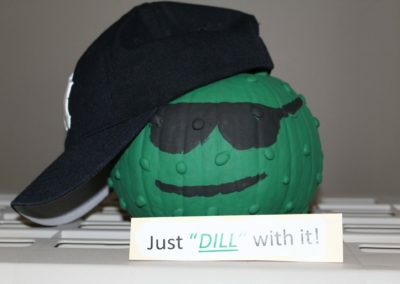 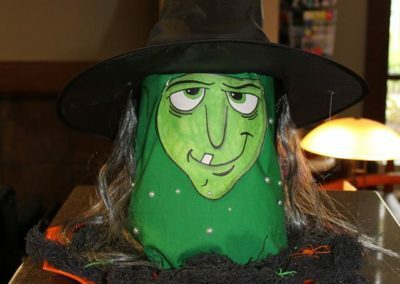 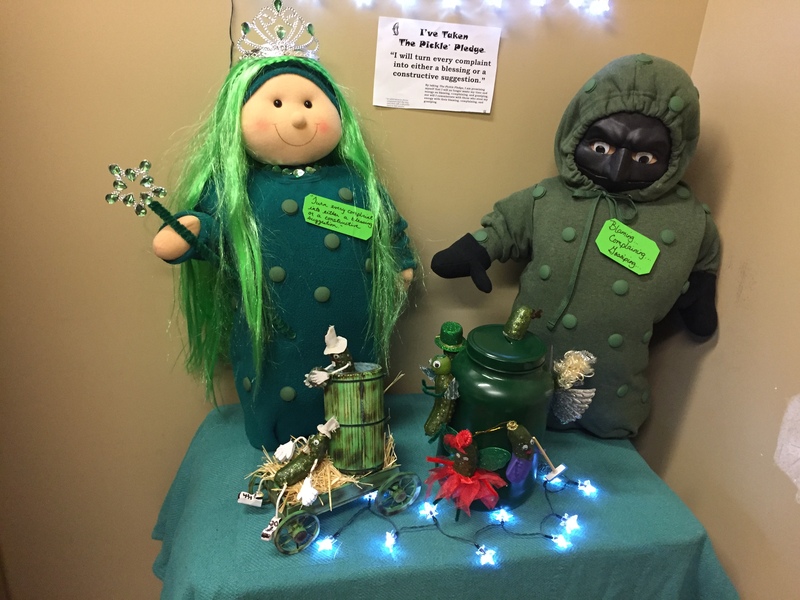 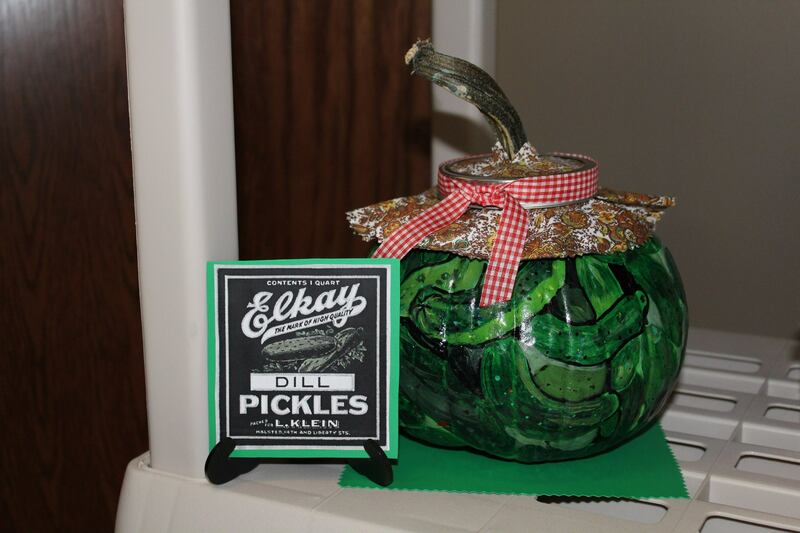 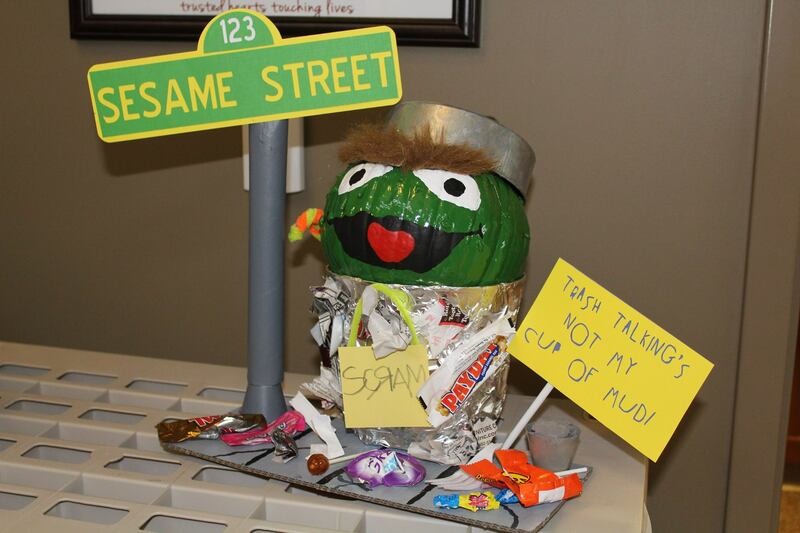 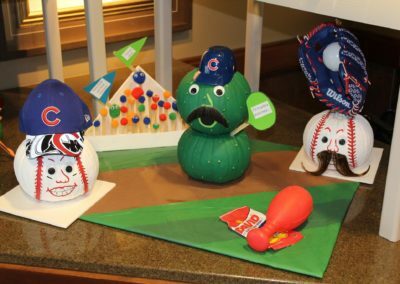 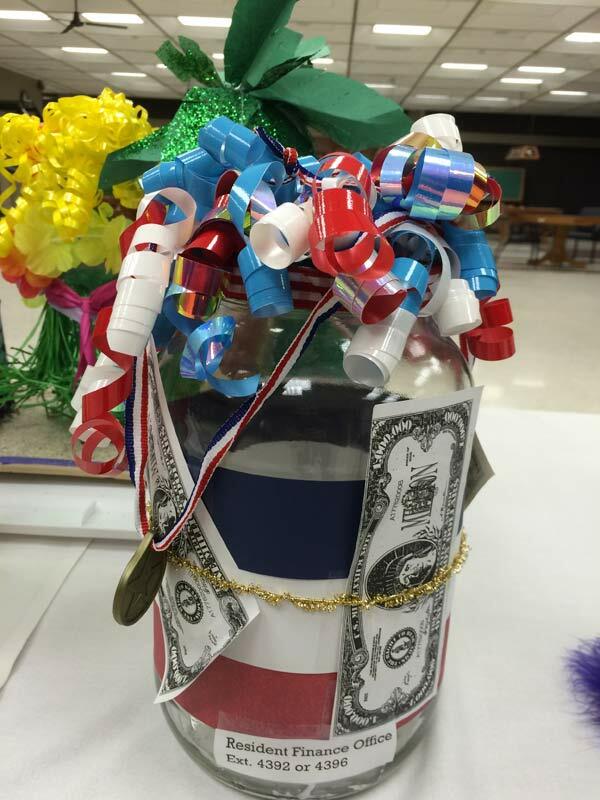 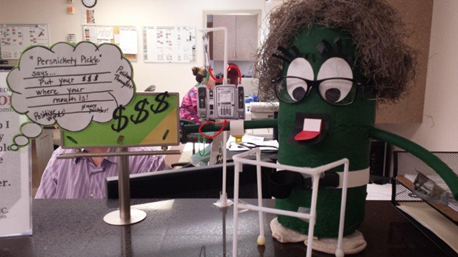 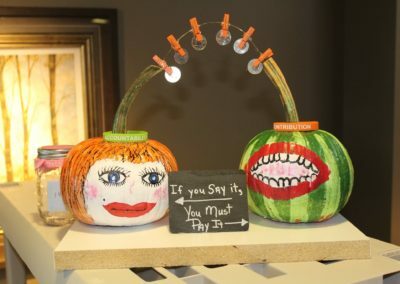 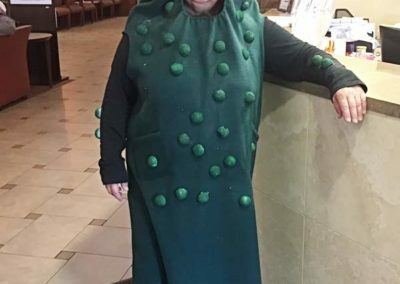 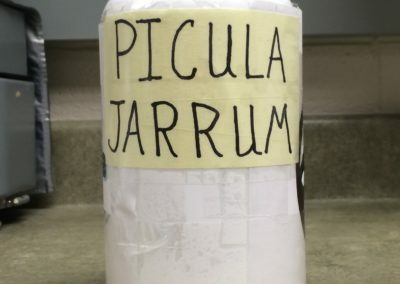 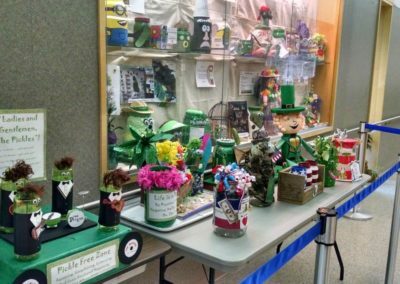 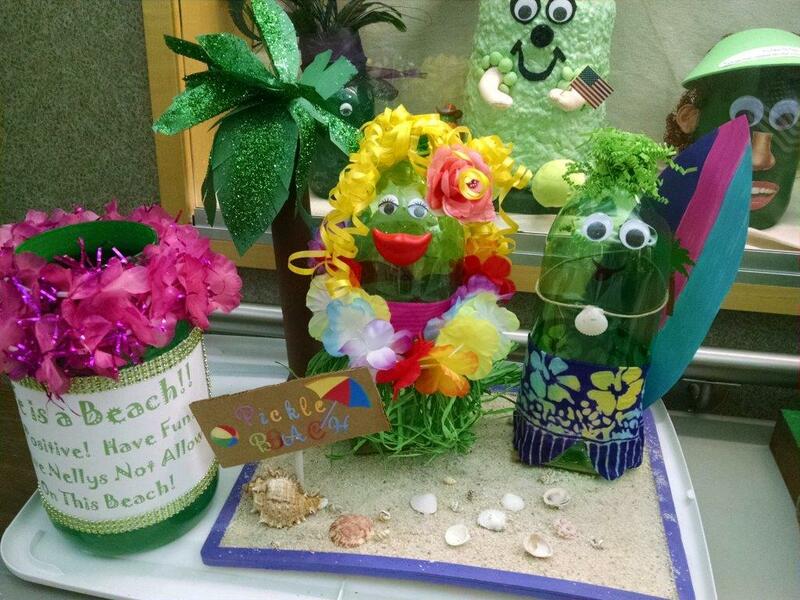 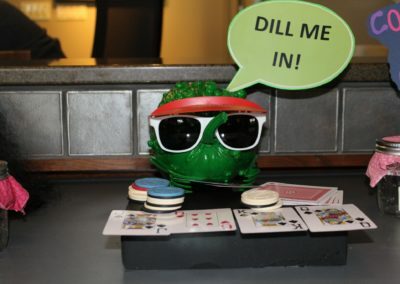 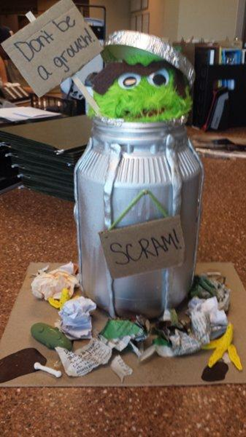 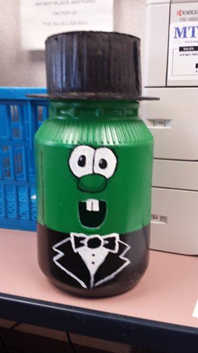 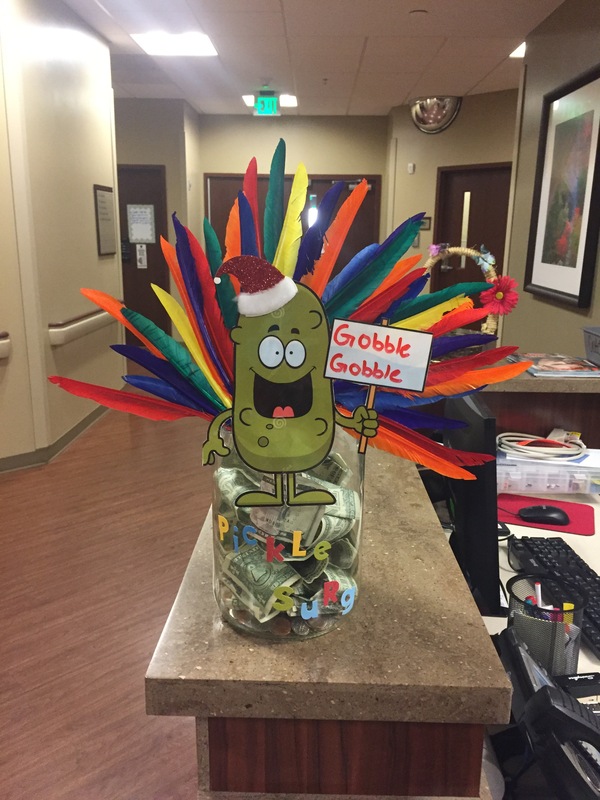 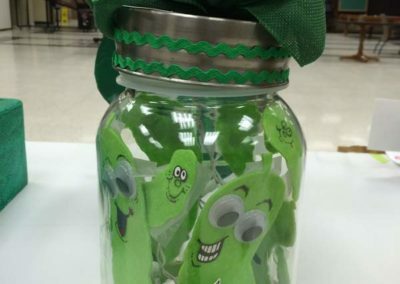 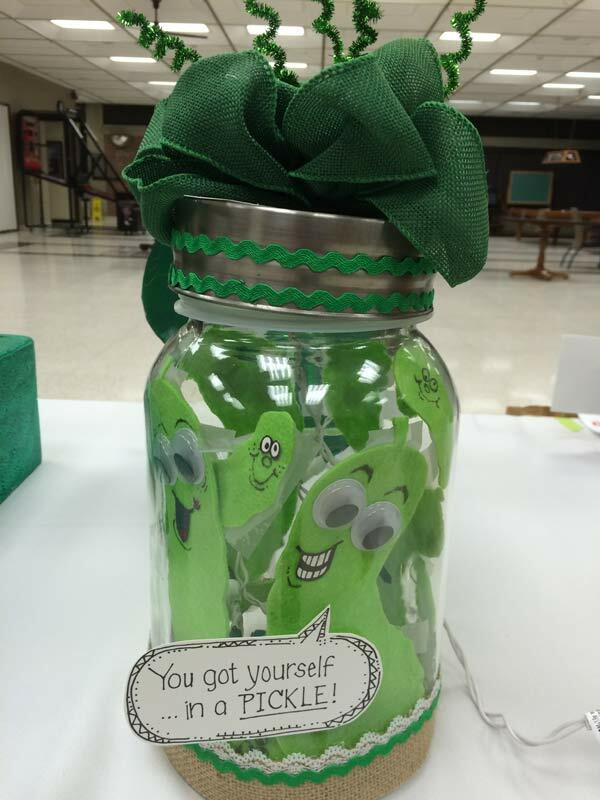 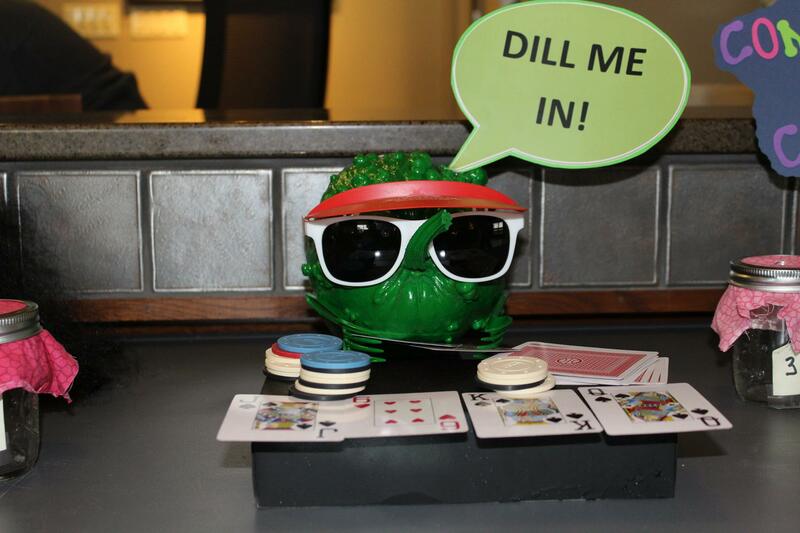 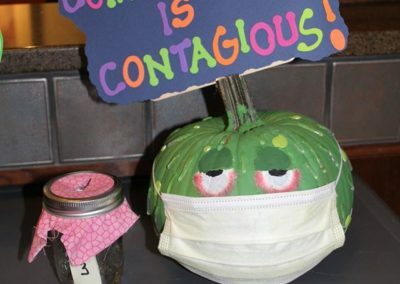 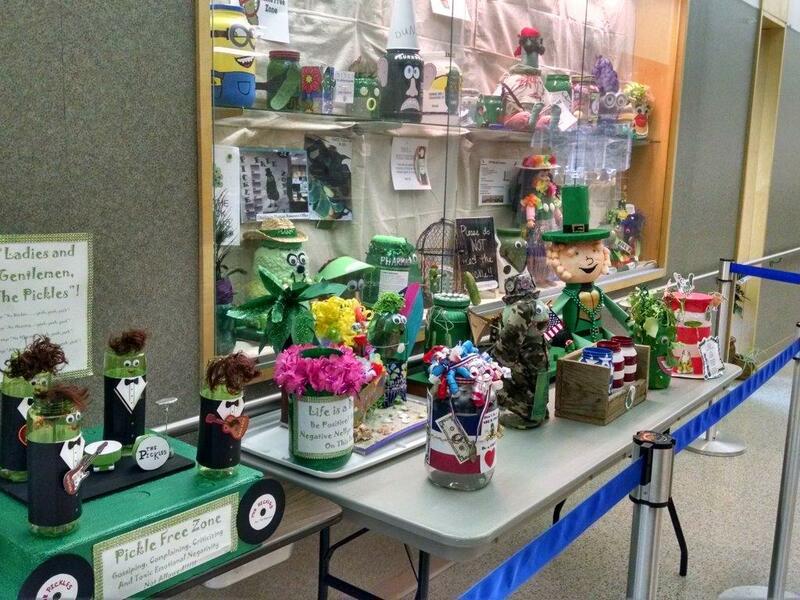 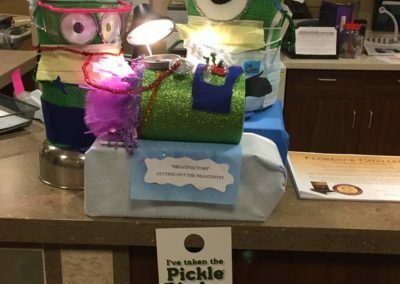 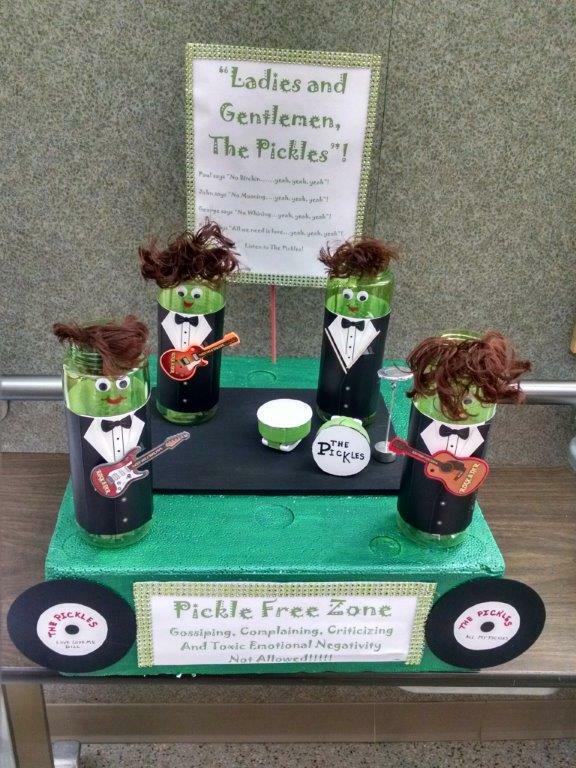 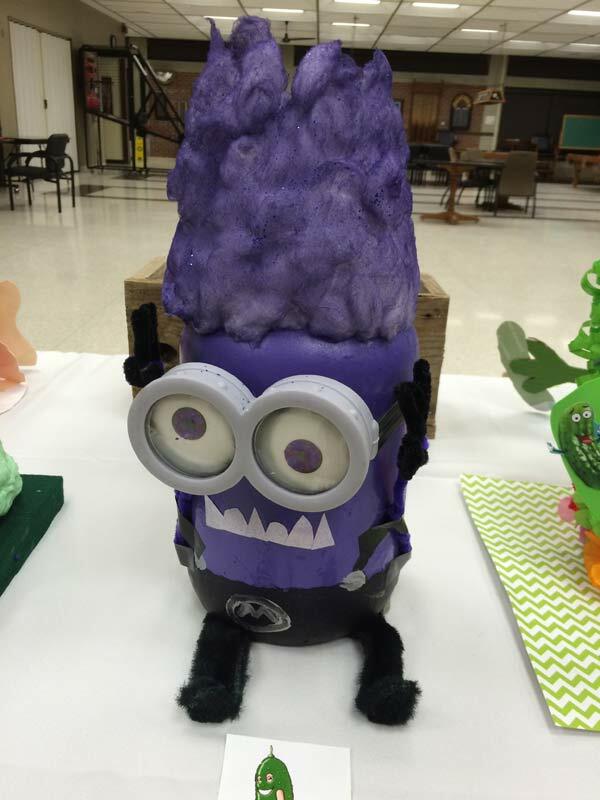 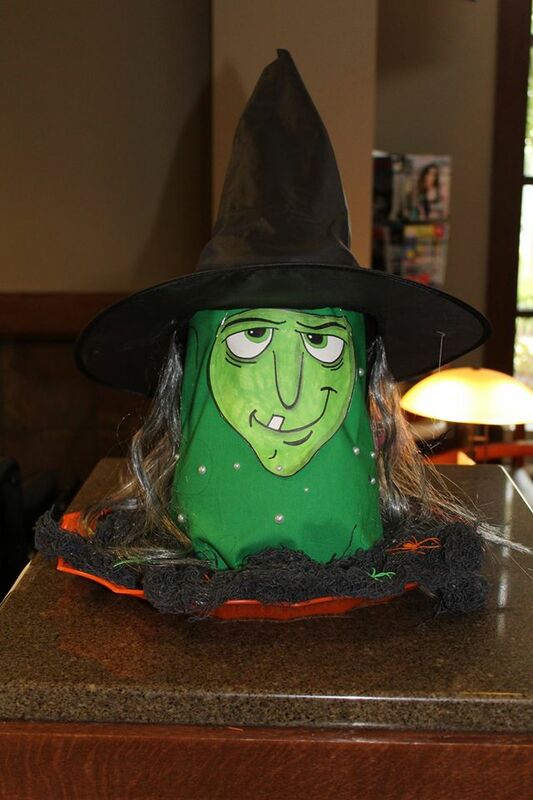 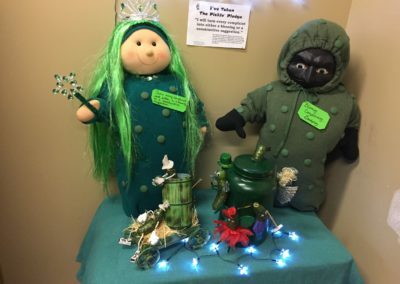 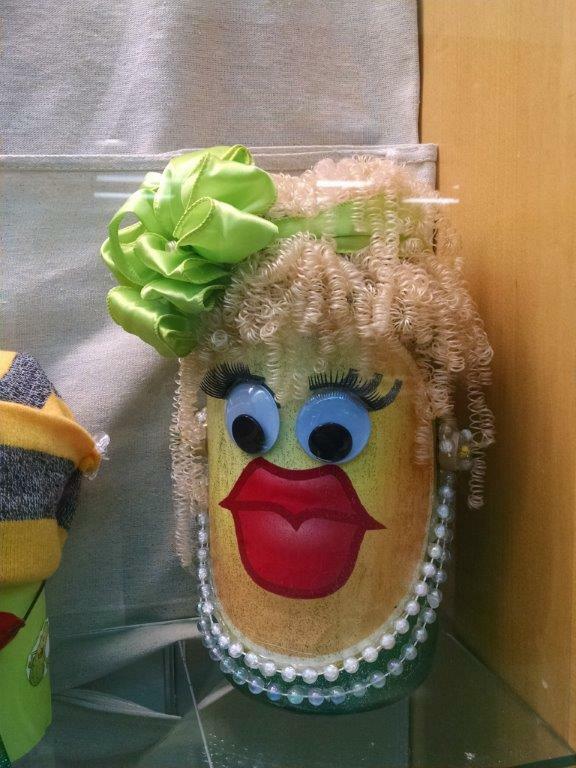 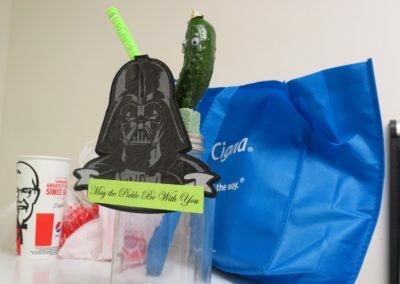 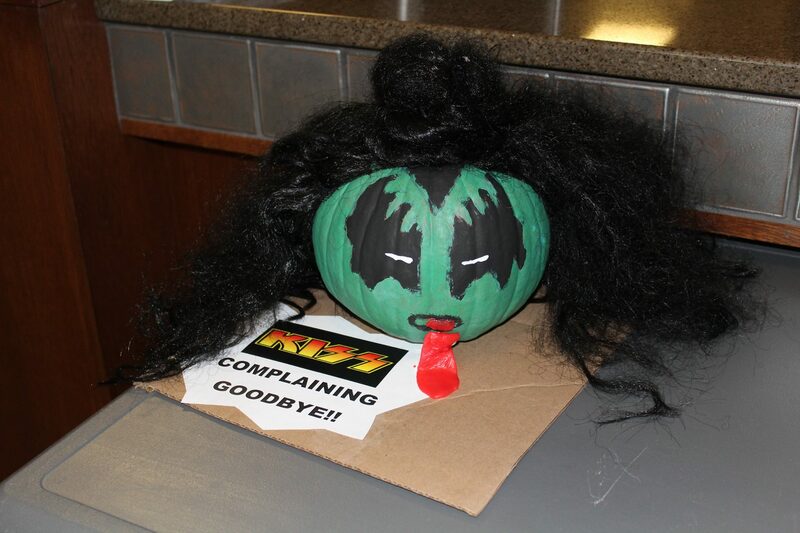 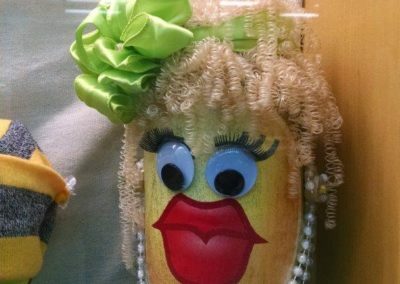 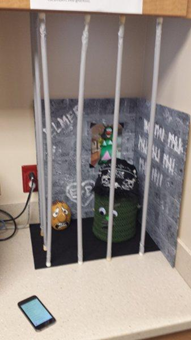 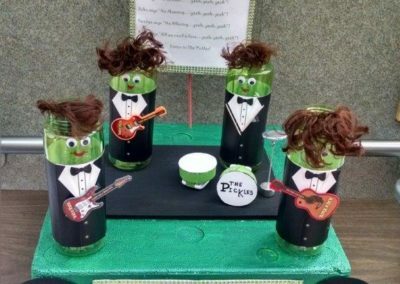 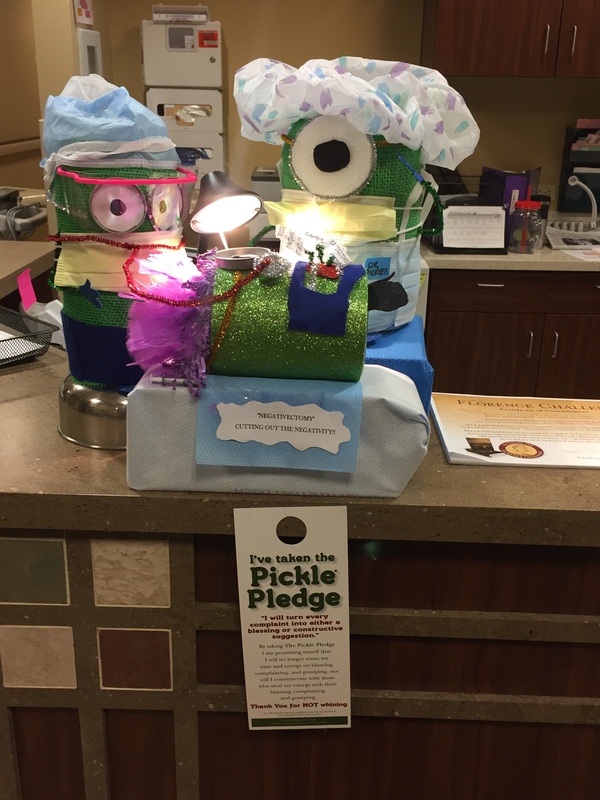 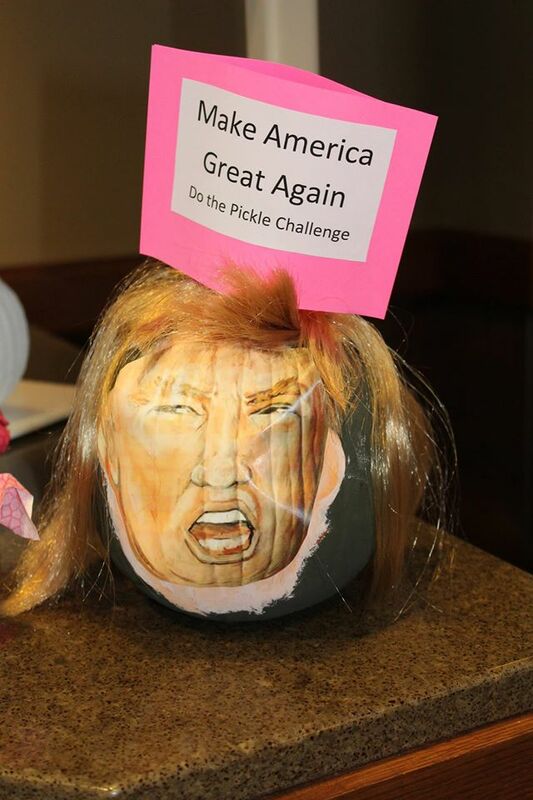 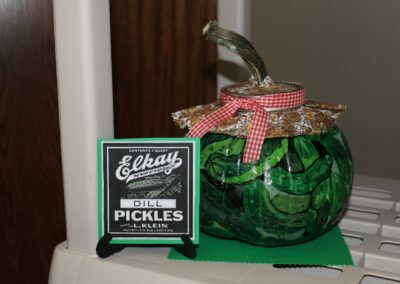 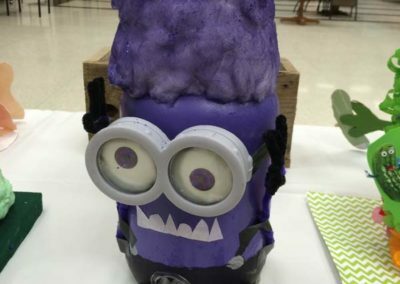 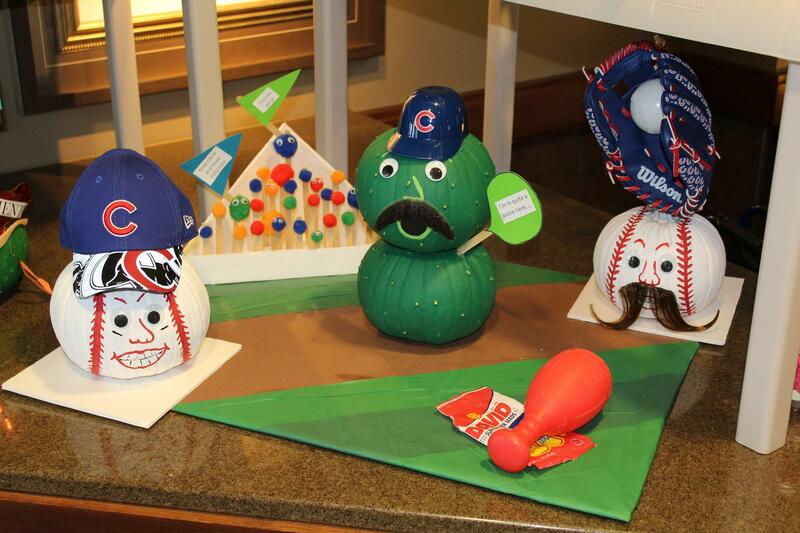 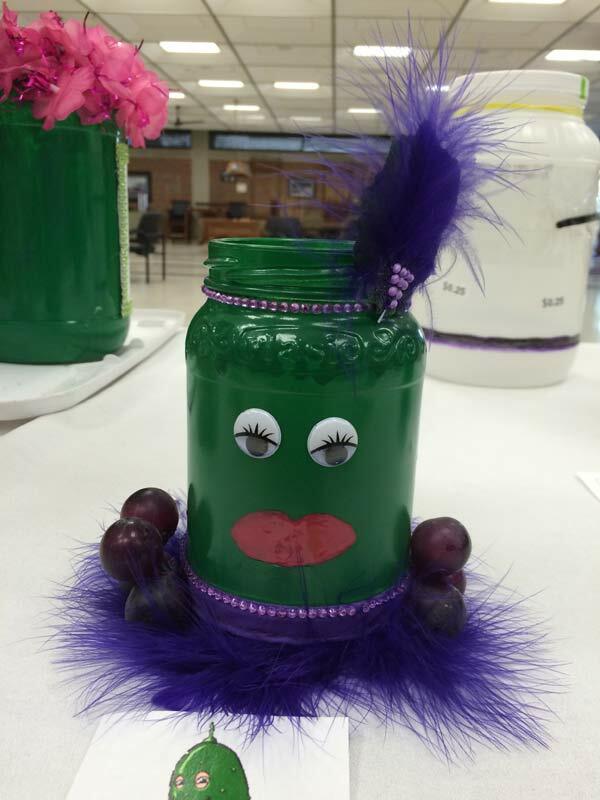 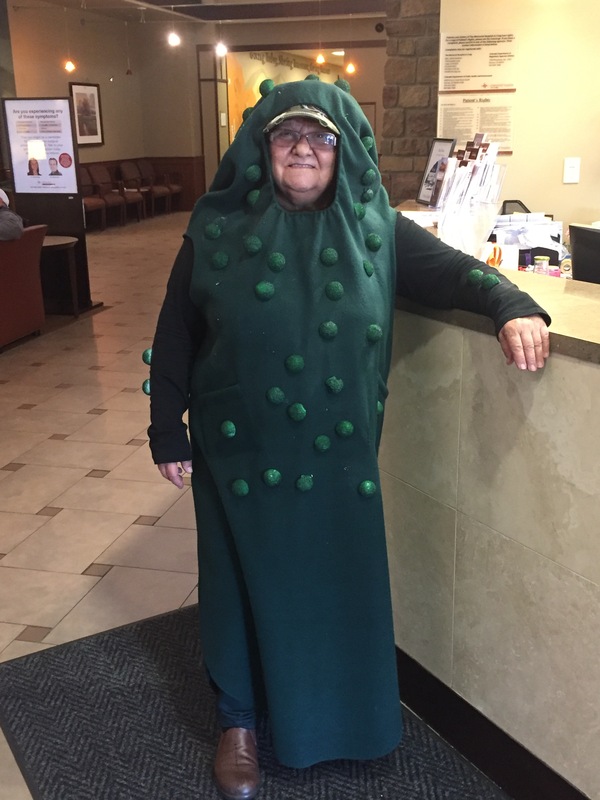 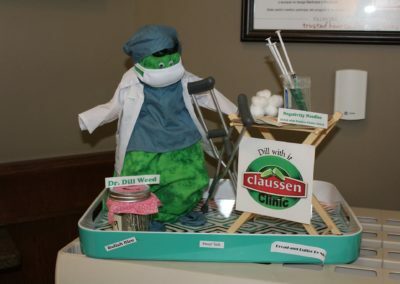 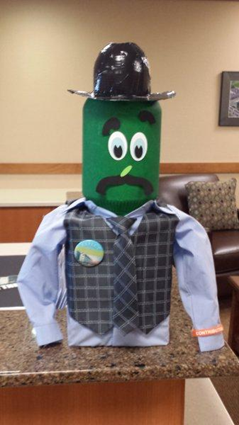 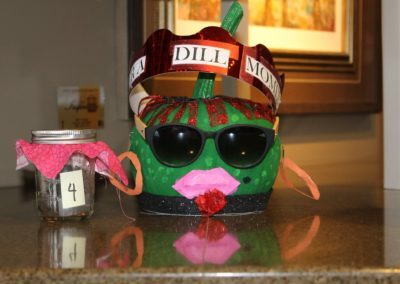 In the weeks leading up to The Pickle Challenge for Civility you will see an incredible burst of creativity as people participate in pickle jar and pickle cake decorating contests, as they decorate their work areas, and as they engage in a whole host of fun pickle-related activities. Your people get a more positive and pleasant work experience. 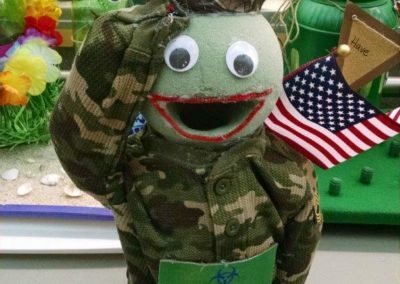 Their families get a happier and less stressed spouse or parent coming home at the end of the shift. 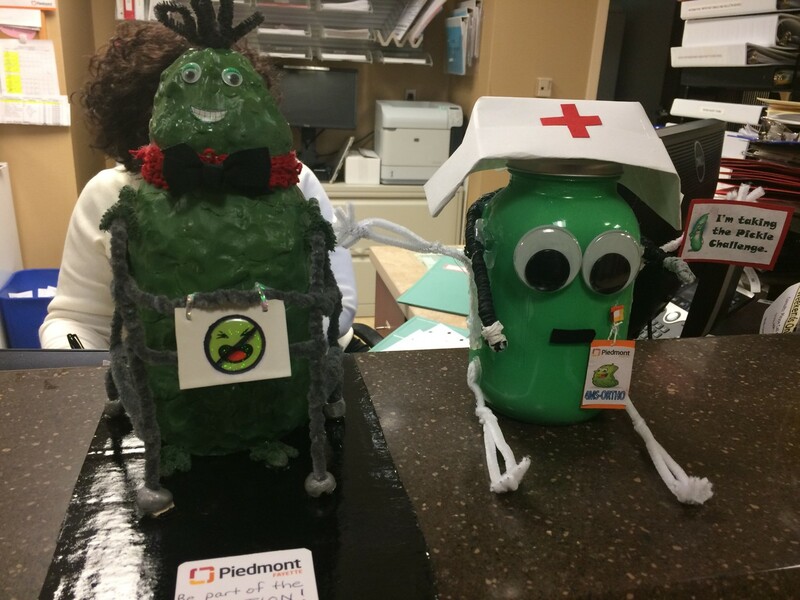 Your patients get more genuinely pleasant and empathetic caregivers. 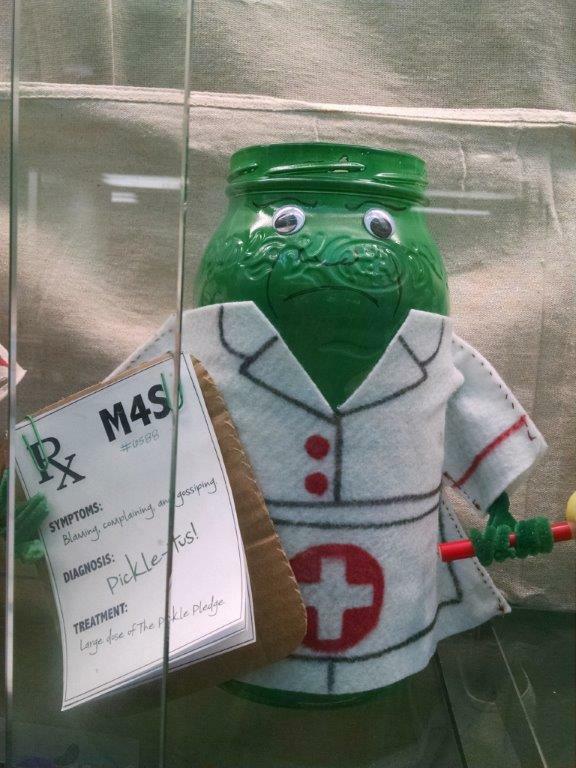 Your administration gets higher HCAHPS scores, employee engagement ratings, and nicer letters in the mail. 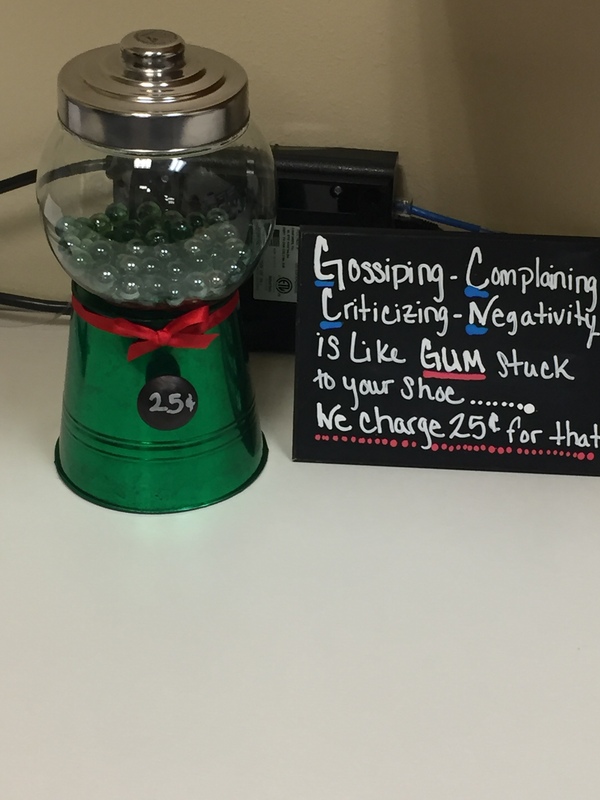 Your middle managers get new tools for eliminating incivility, bullying, and toxic emotional negativity from their areas. 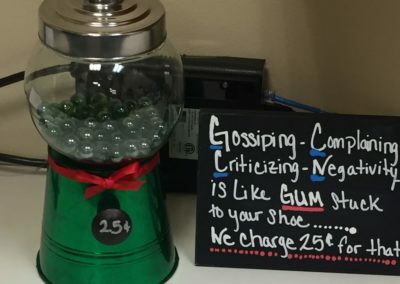 Our proprietary Culture Assessment Survey gives you a unique perspective on how people view your culture, and consulting reports tell you how you compare and offer recommendations. 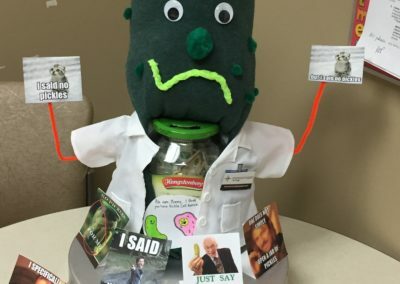 A toxic emotional climate prevents people from reporting problems and confronting inappropriate behaviors – and has been associated with patient harm and deaths. 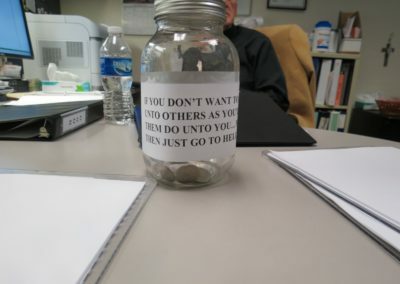 Your designated charity gets a nice check. 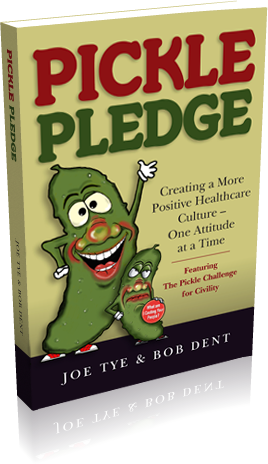 JOIN THE MOVEMENT FOR A MORE POSITIVE HEALTHCARE CULTURE! 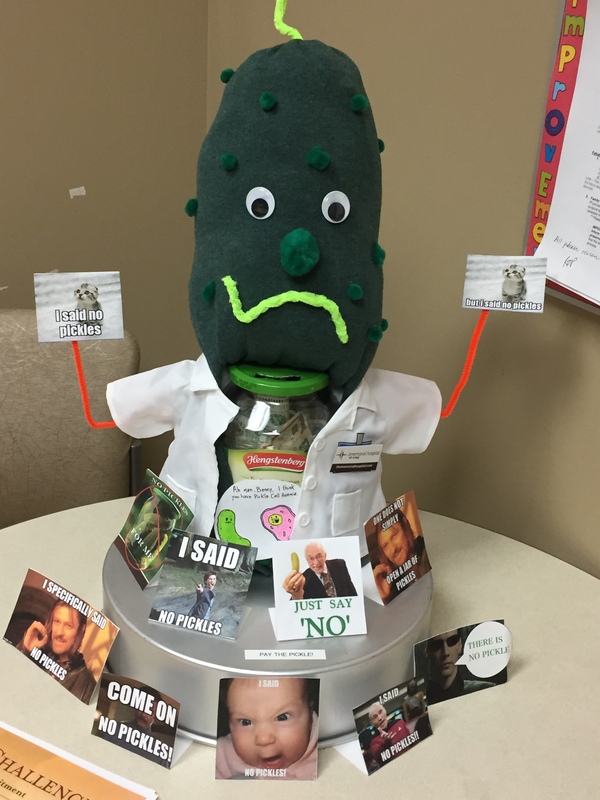 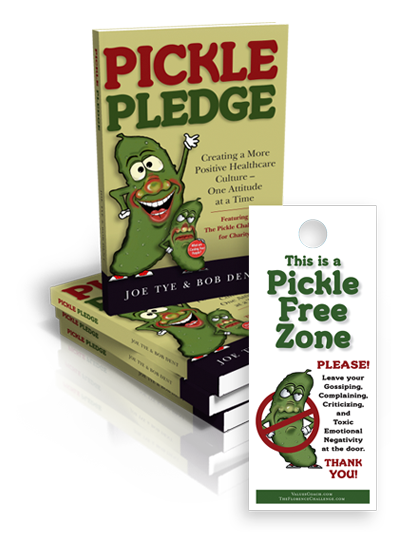 Pickle Pledge by Joe Tye and Bob Dent is a manifesto for eradicating toxic emotional negativity (TEN – as reflected in incivility, disrespect, bullying, blame-shifting, rumor mongering, chronic complaining and other harmful attitudes and behaviors), and for replacing these with a commitment to professionalism and a spirit of fellowship. 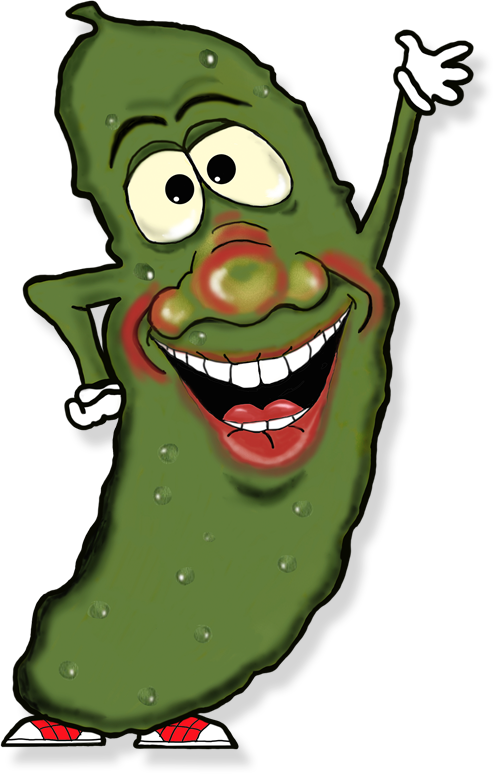 Copyright © 2017 Values Coach Inc | All rights reserved.